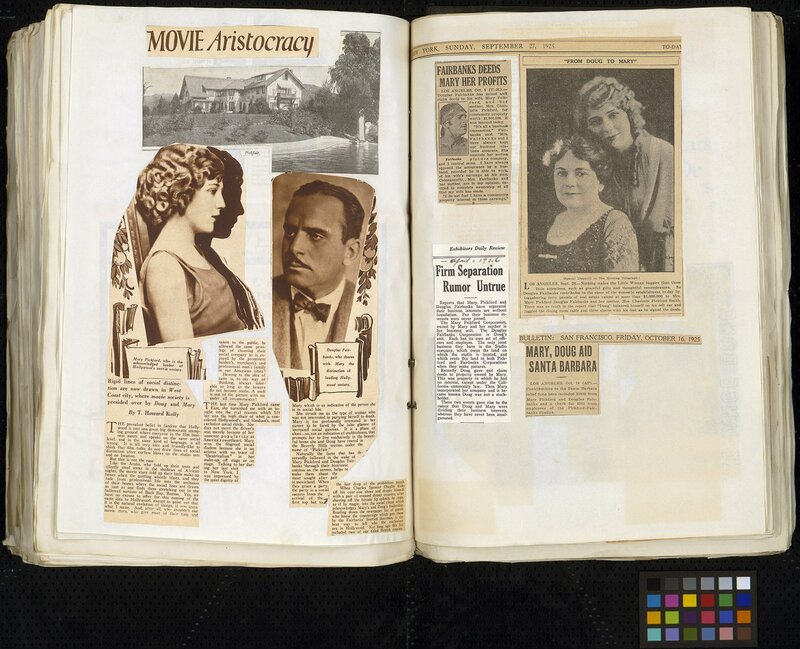 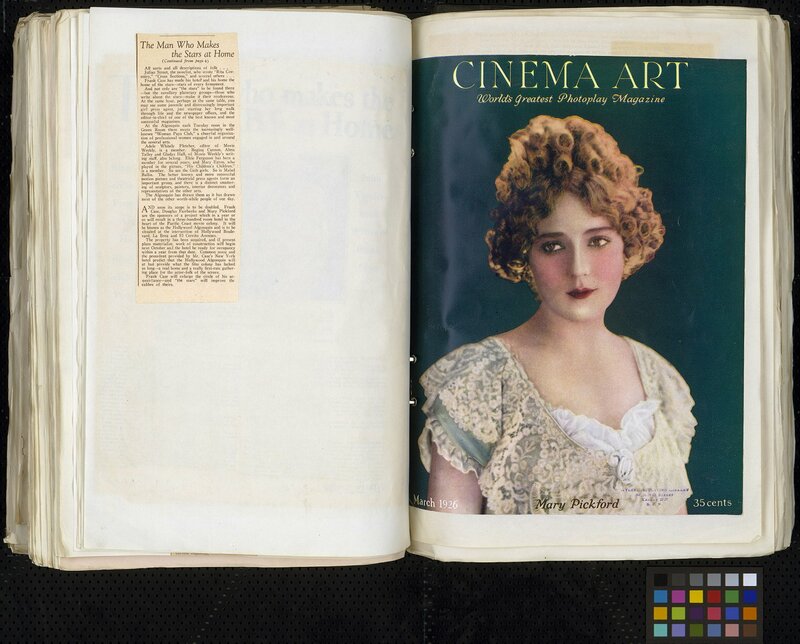 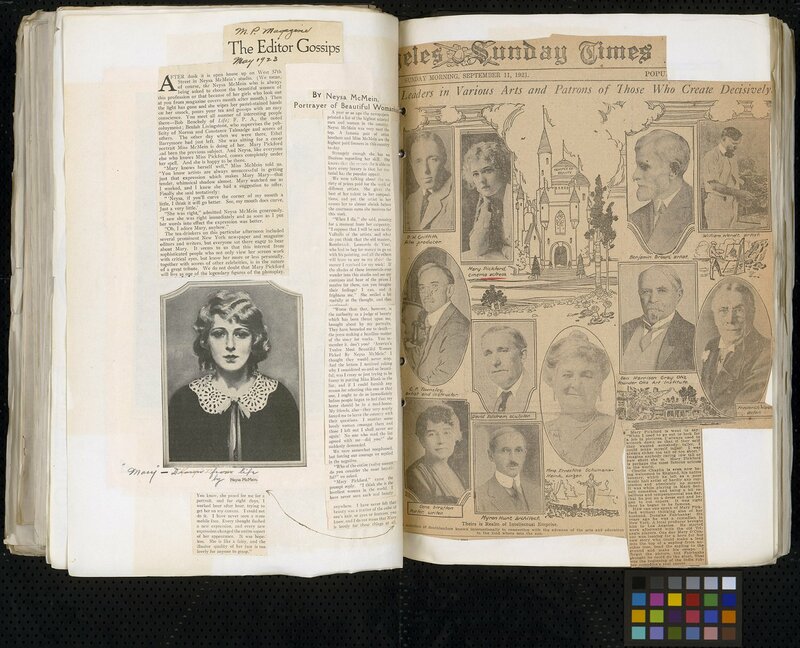 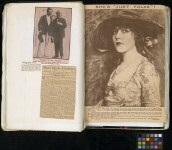 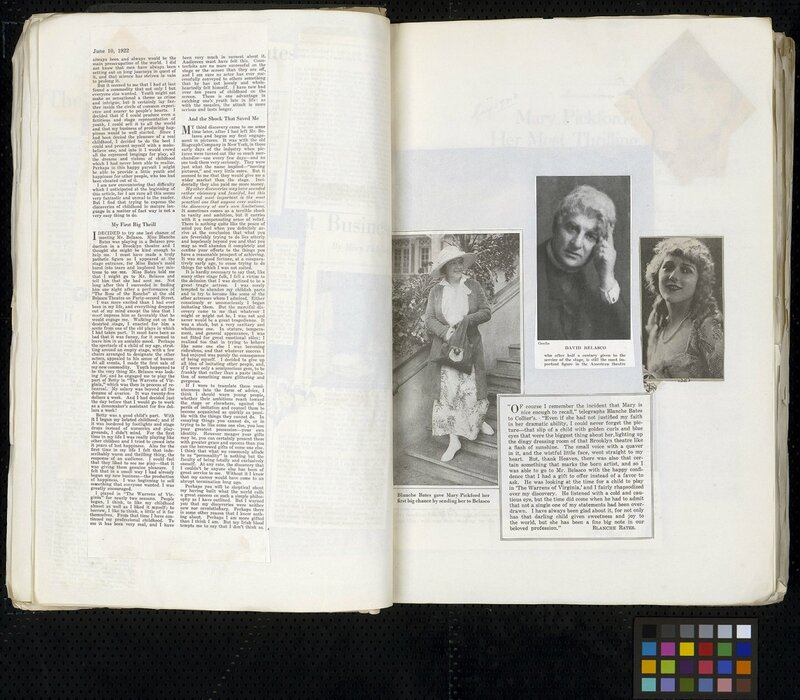 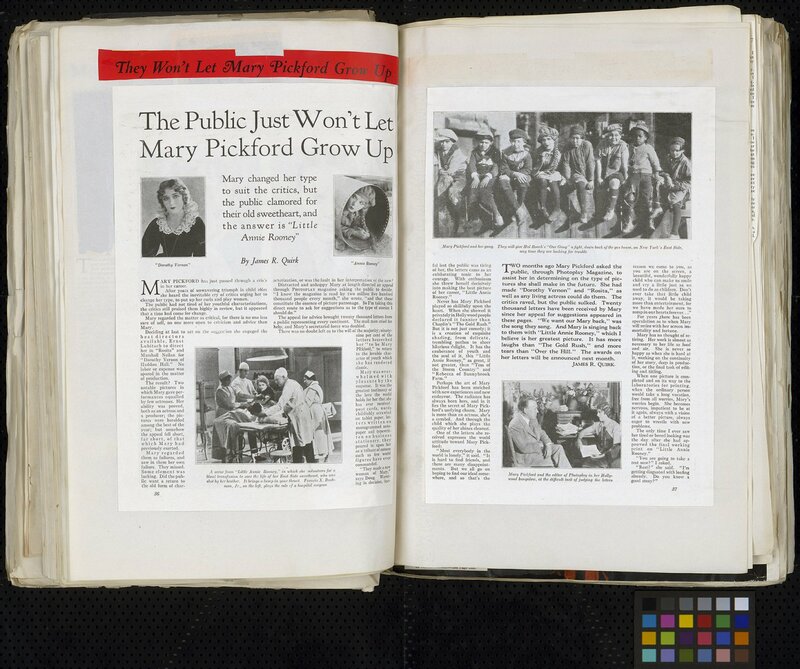 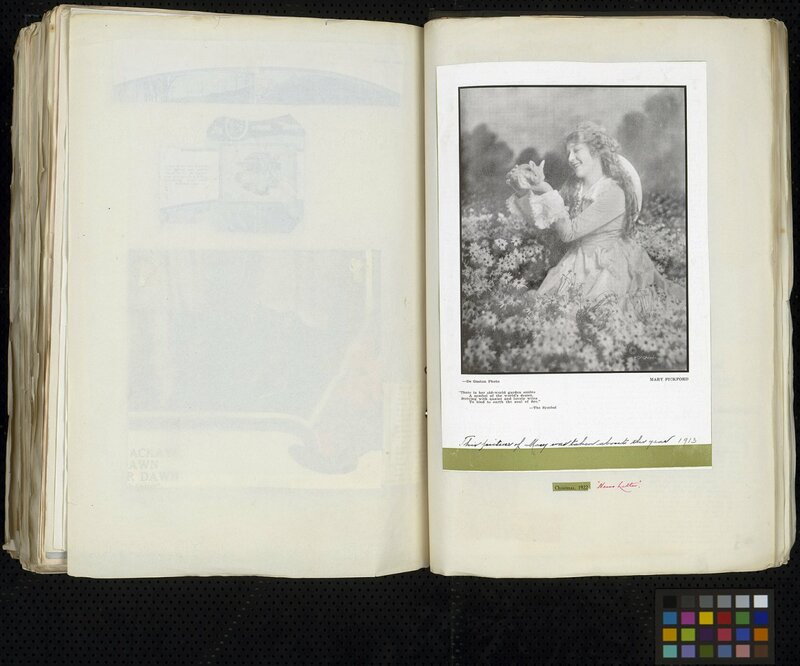 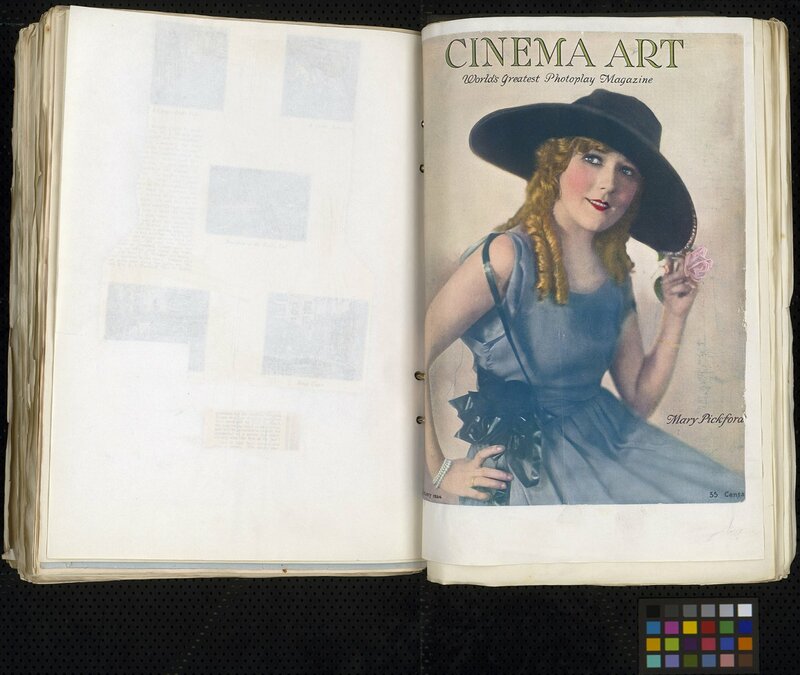 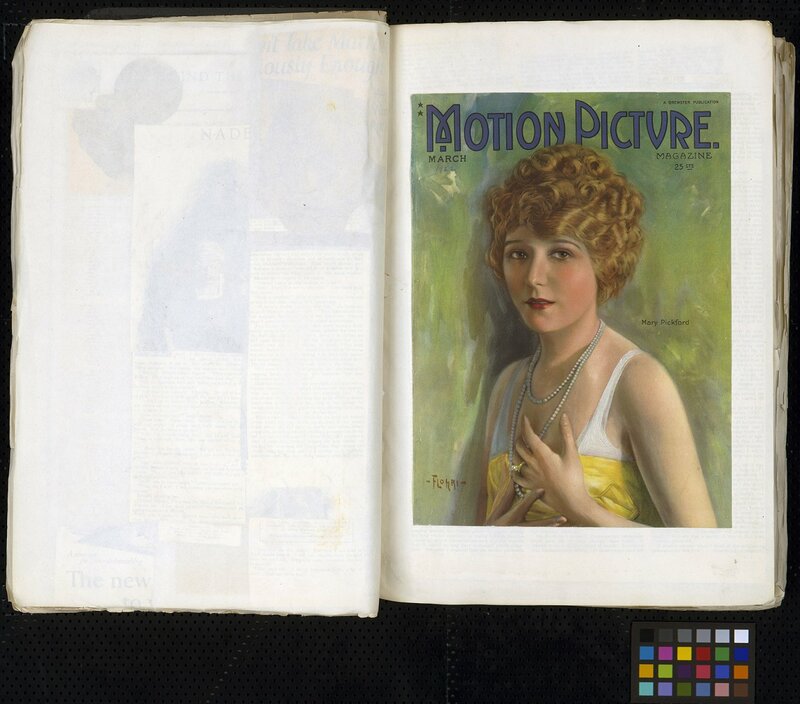 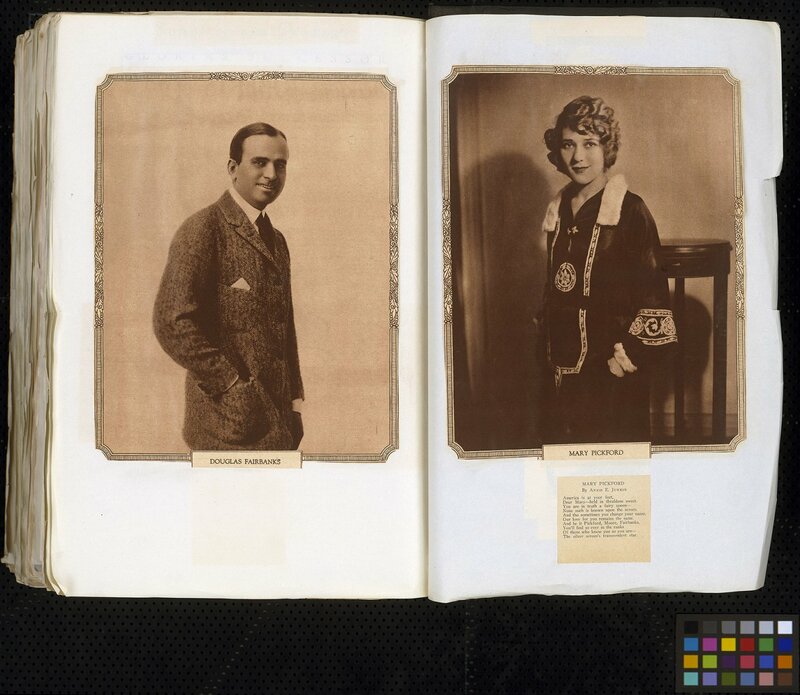 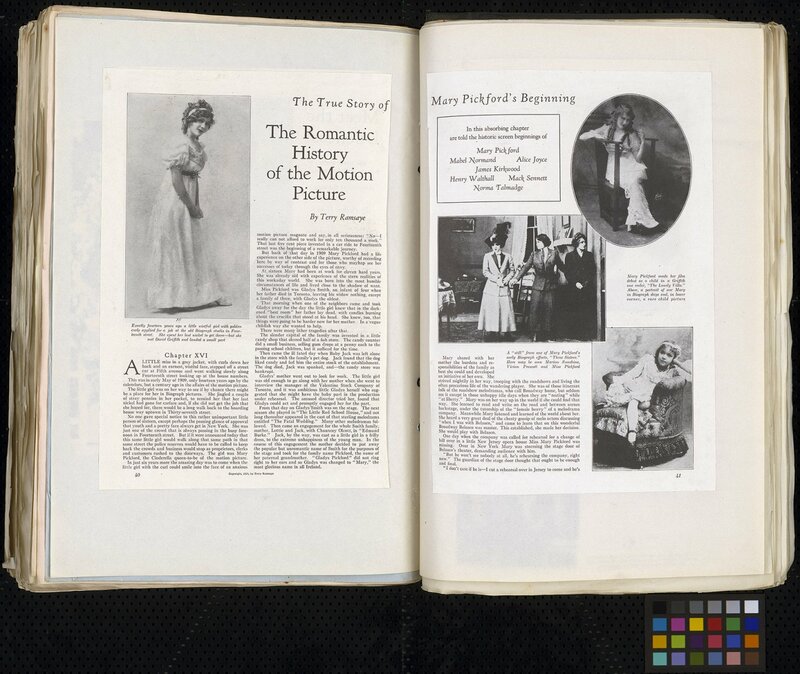 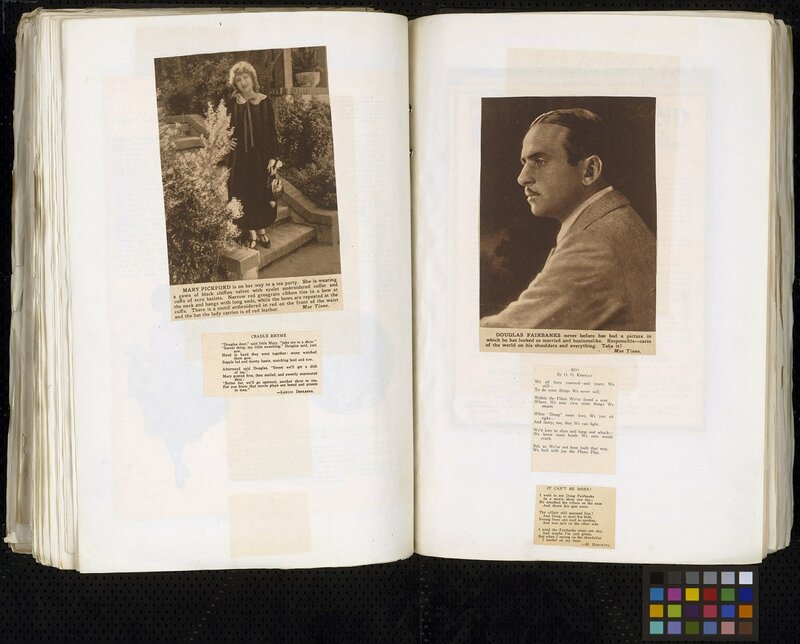 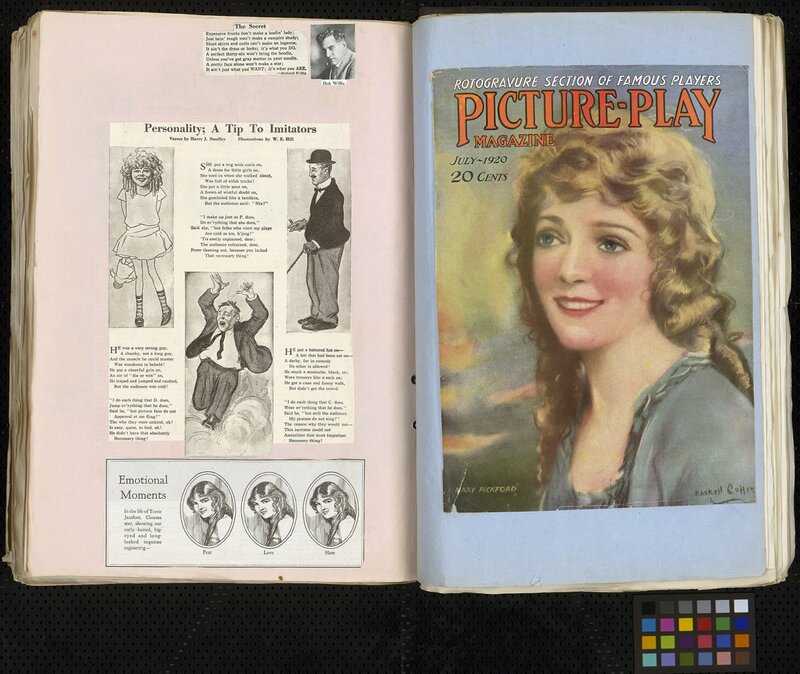 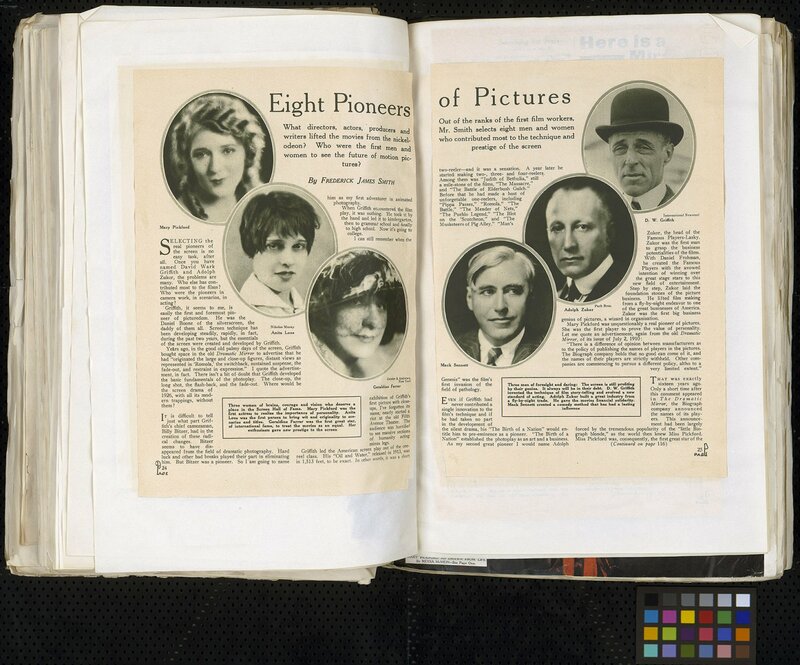 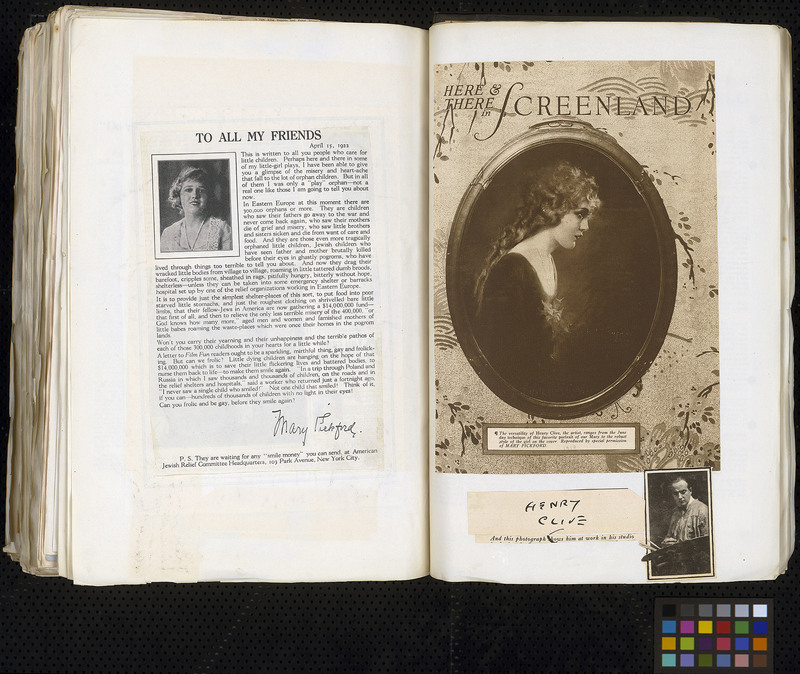 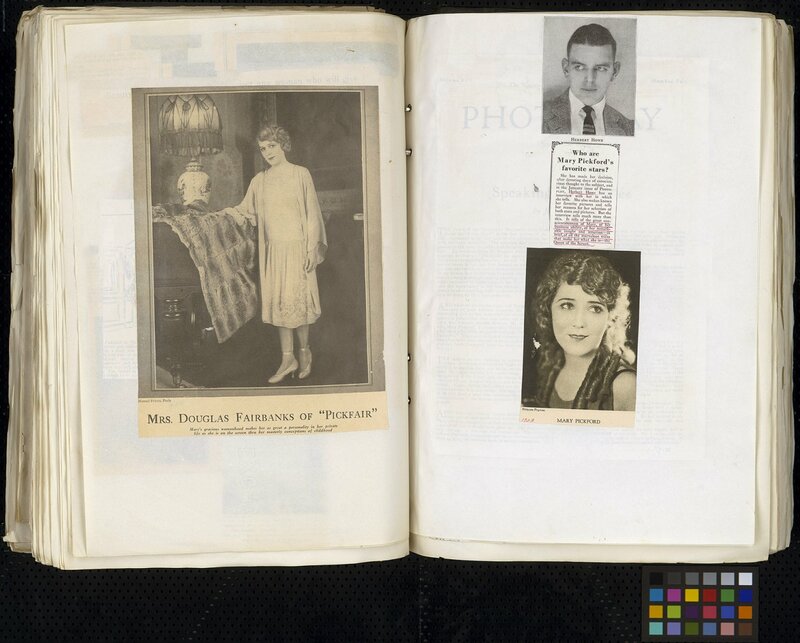 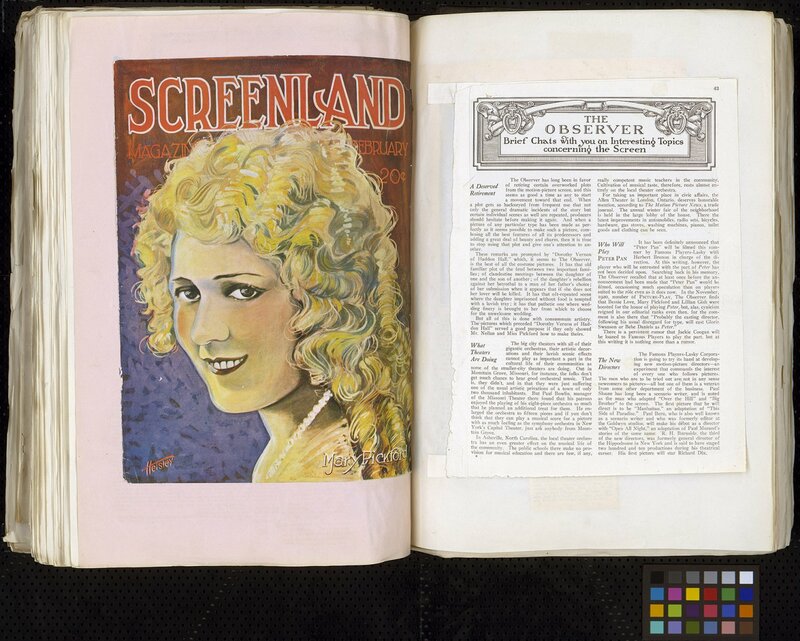 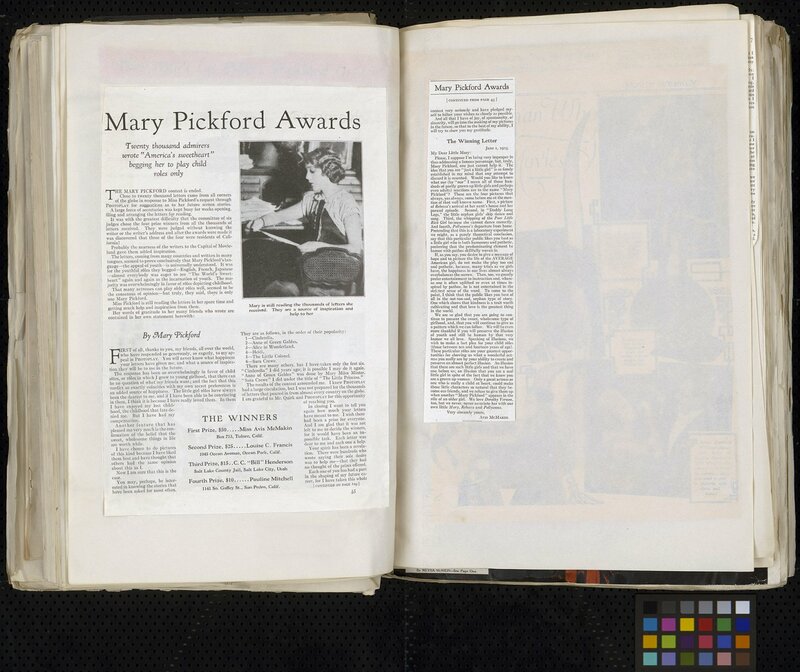 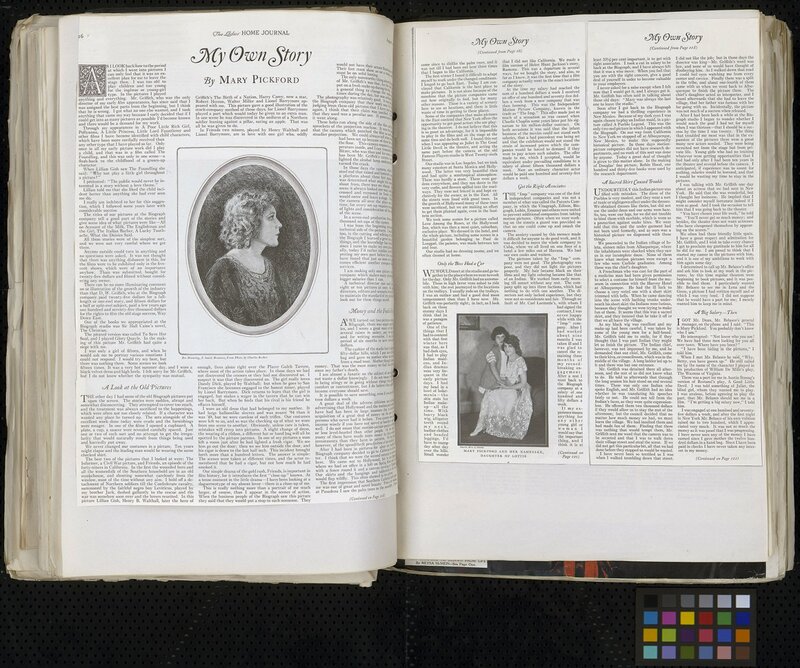 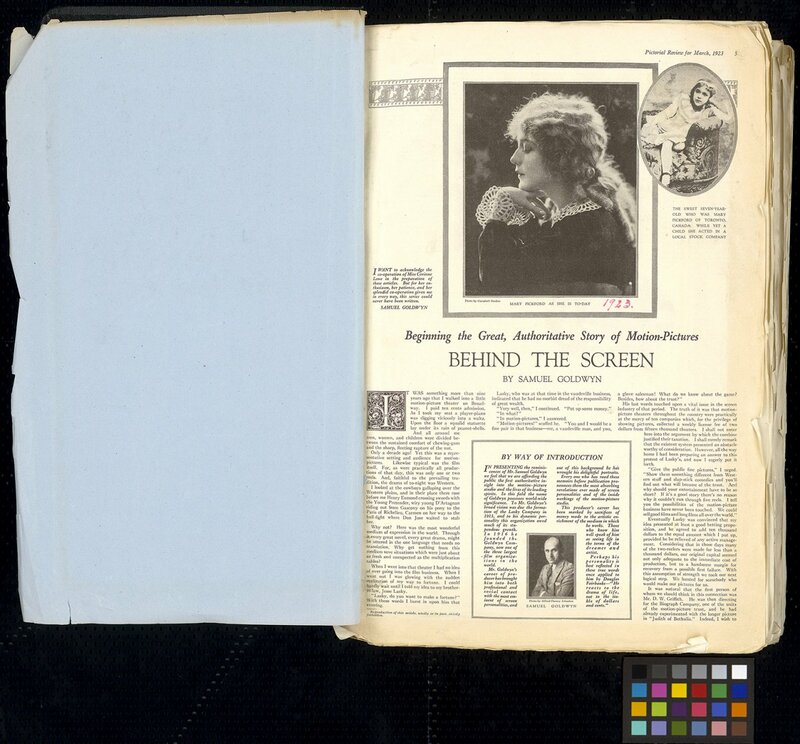 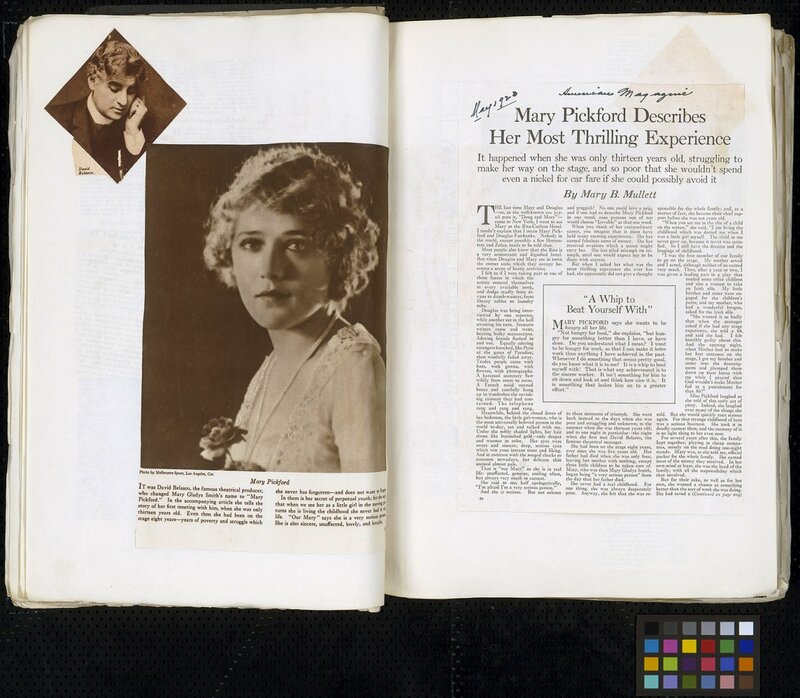 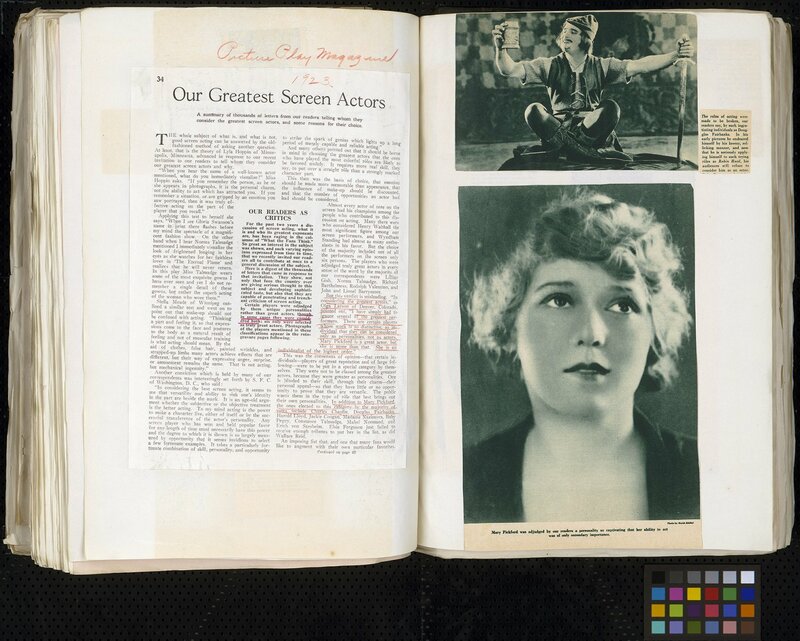 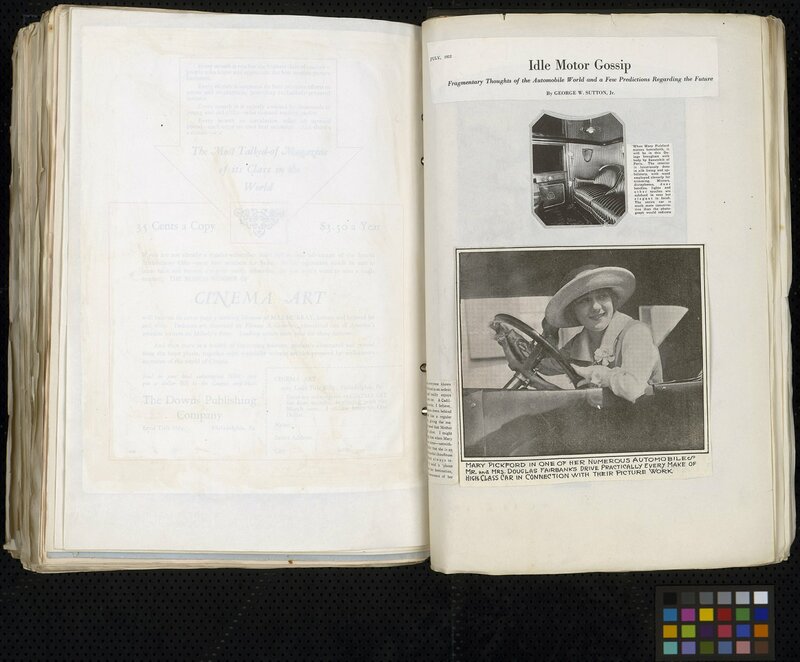 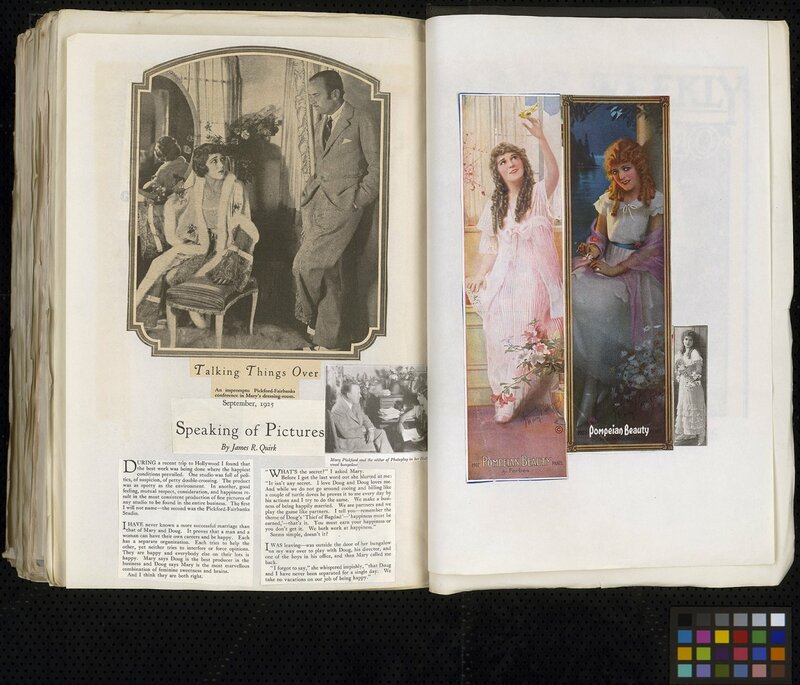 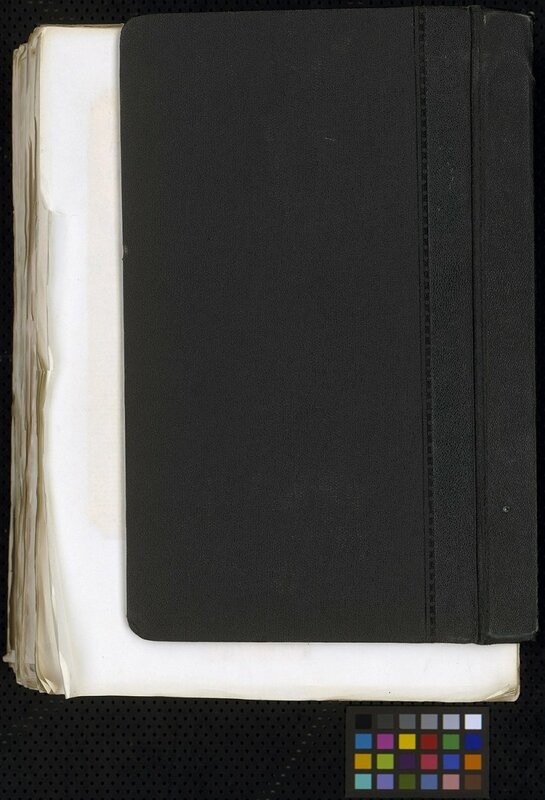 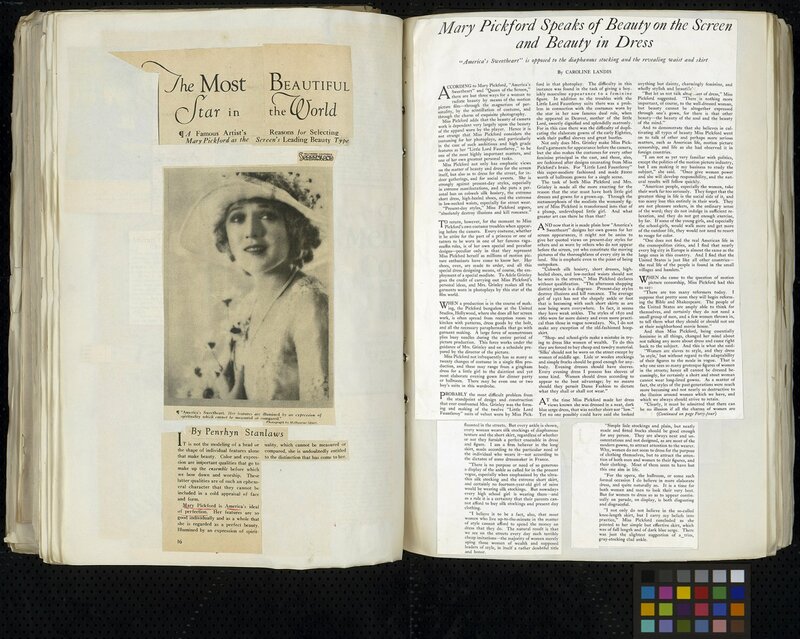 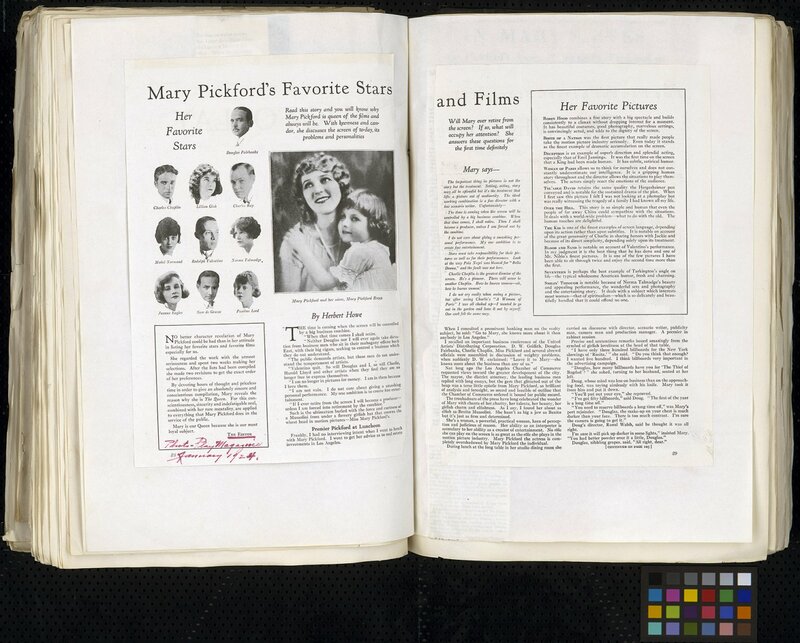 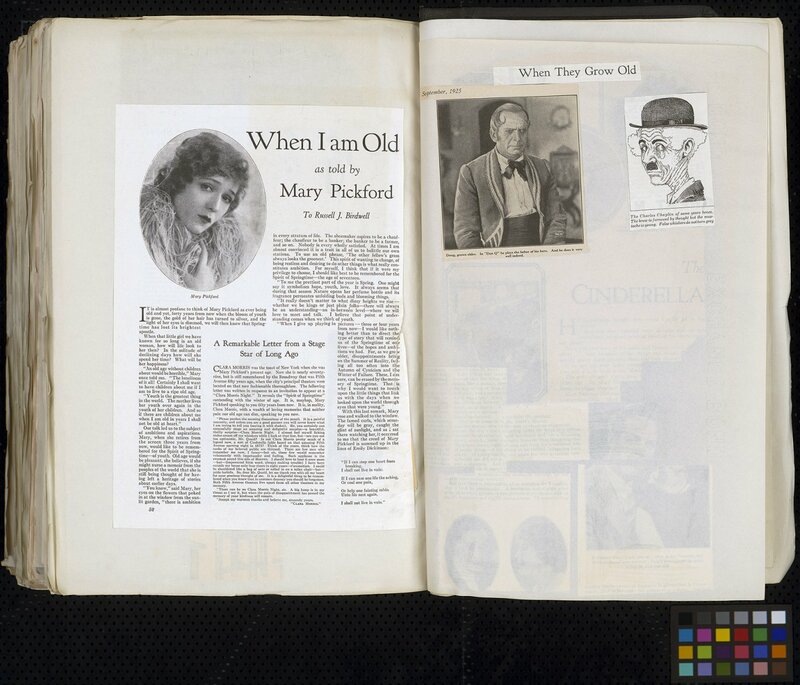 Mary Pickford initiated the Mary Pickford Collection at the Academy of Motion Picture Arts & Sciences when she placed her substantial treasury of photographs, documents, scrapbooks and other memorabilia at the Margaret Herrick Library in Beverly Hills, California. 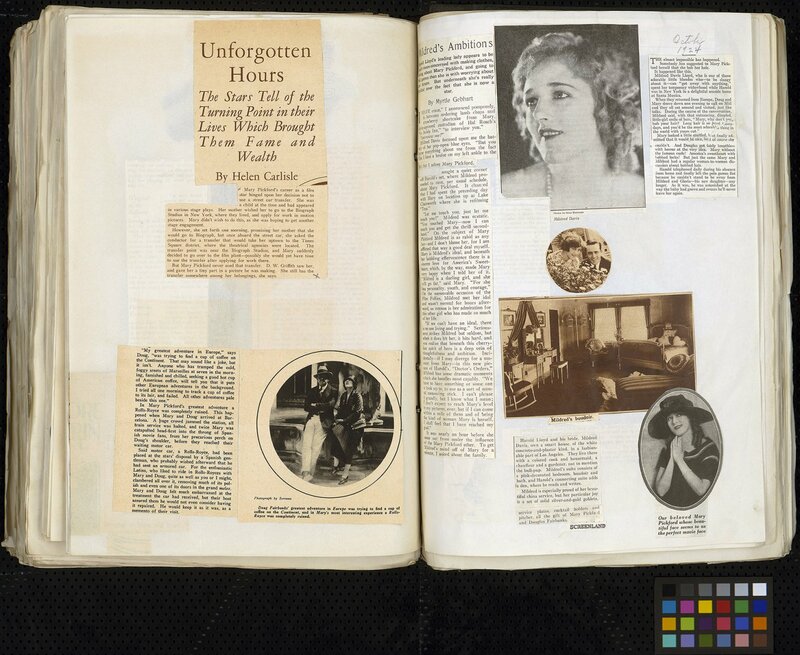 Several years after her death, the Foundation added more material to the collection and we are committed to continuing to do so. 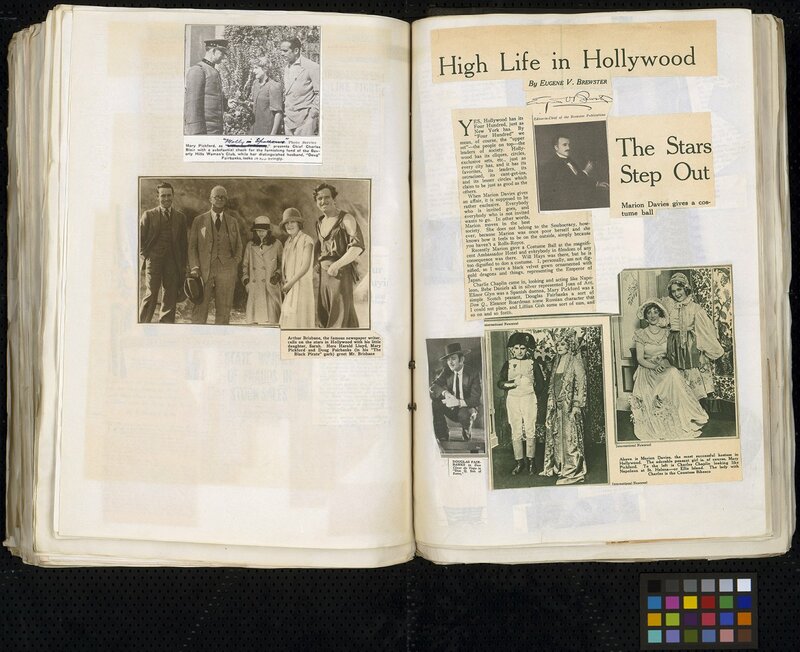 We are currently in the process of working with the Academy to scan key elements in that collection and we will be sharing these as they become available. 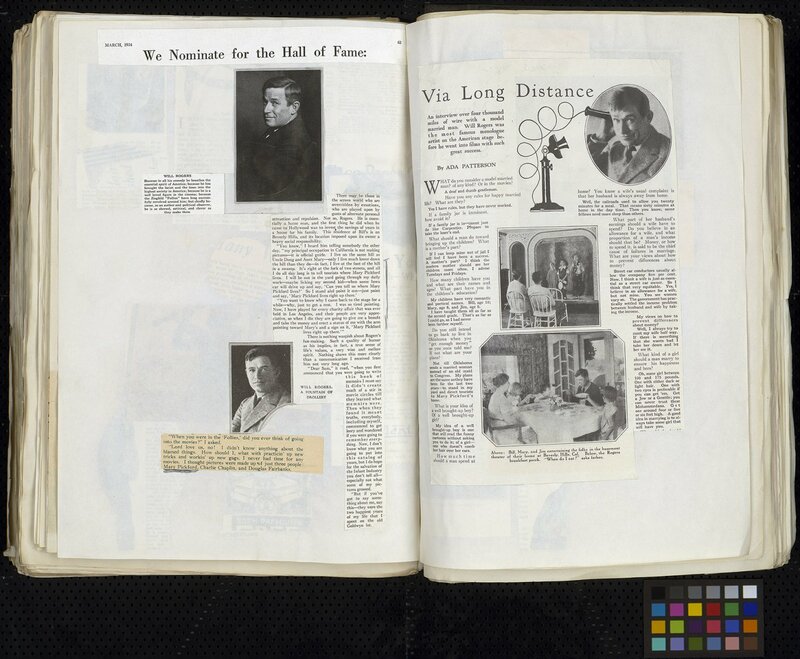 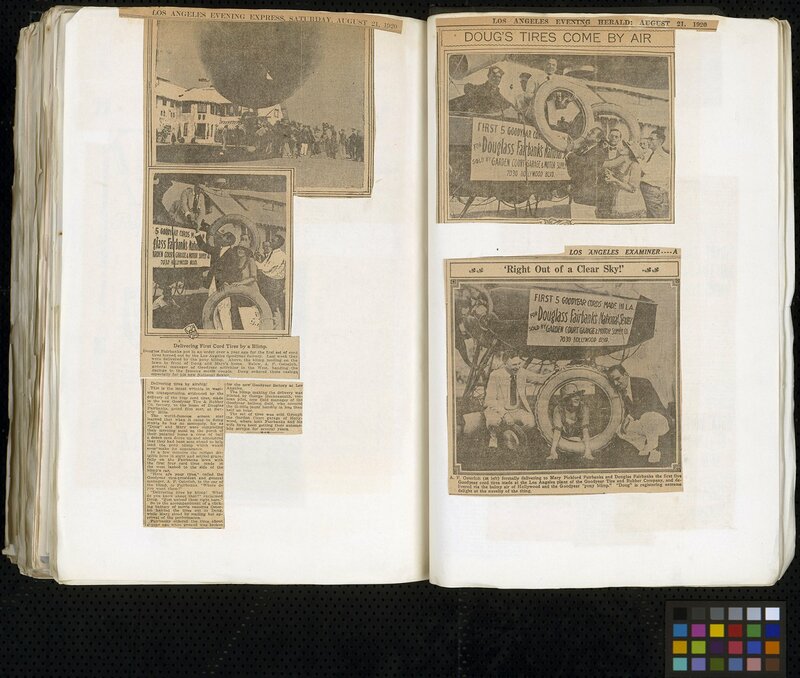 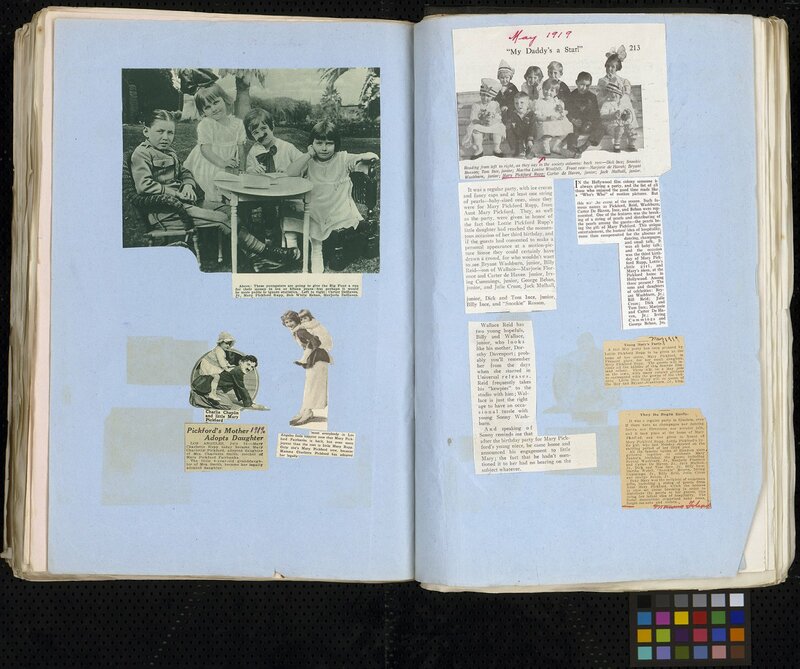 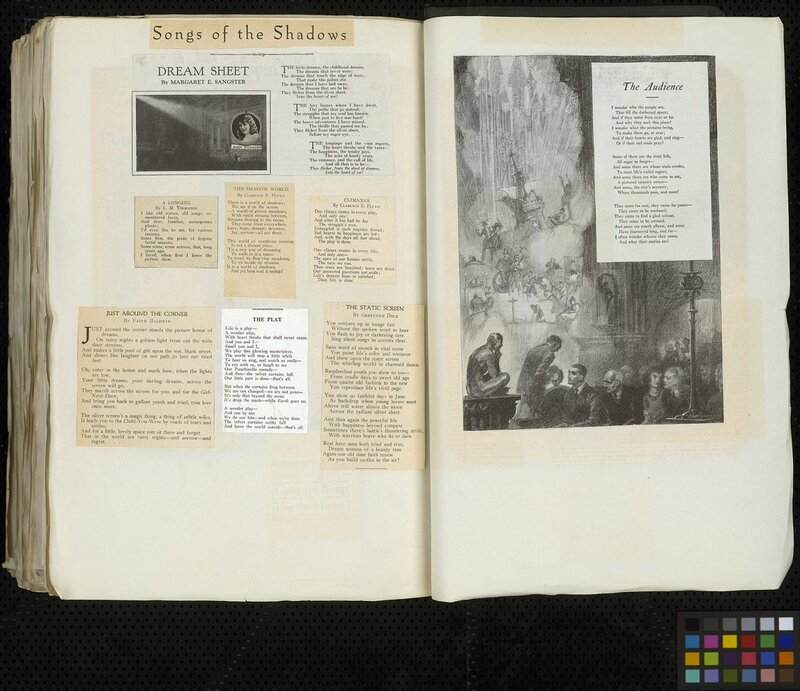 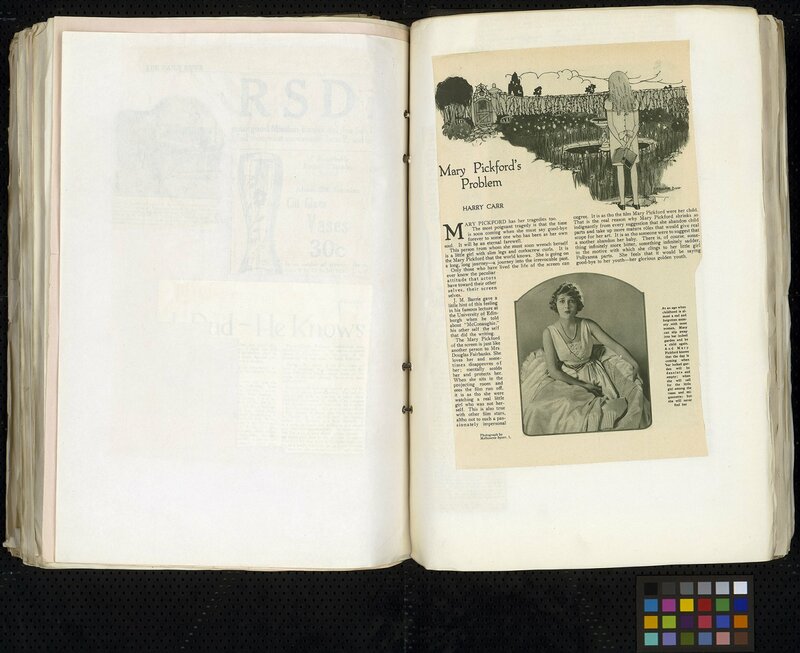 Scrapbook #16 is oversized and was created by a fan in the mid 1920’s. 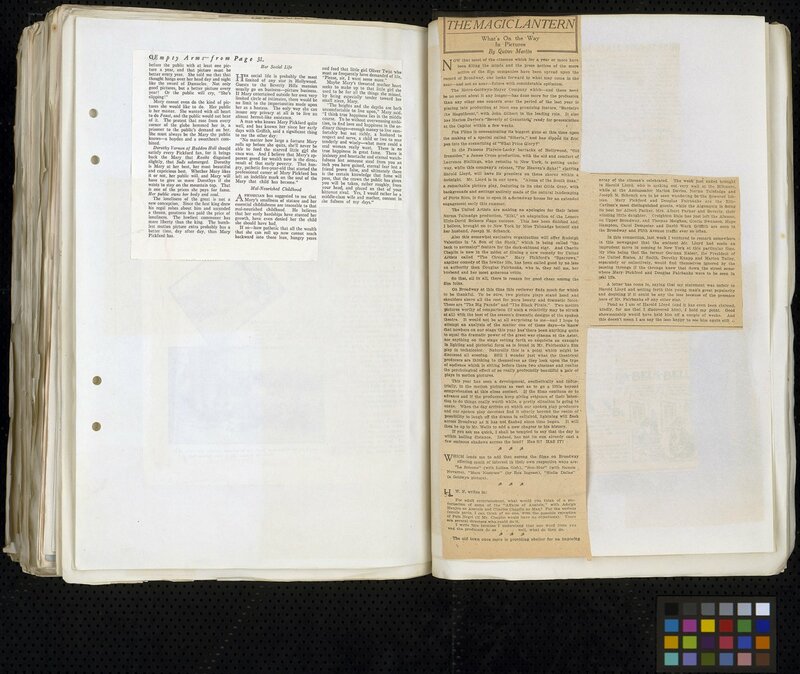 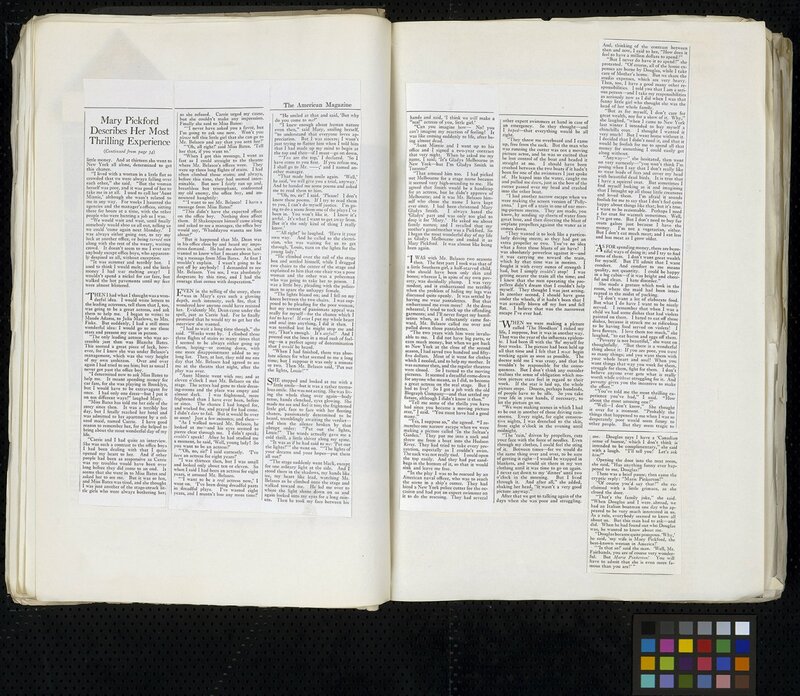 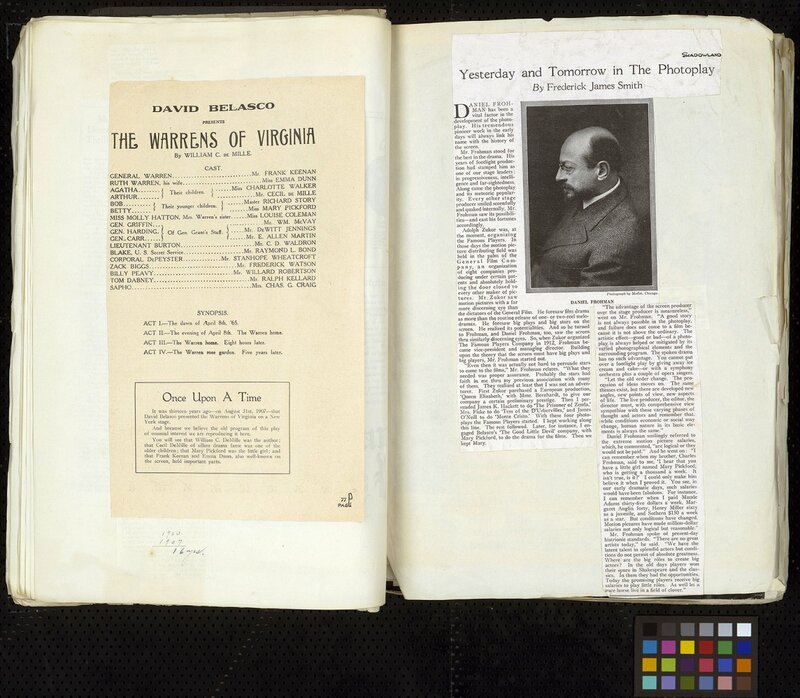 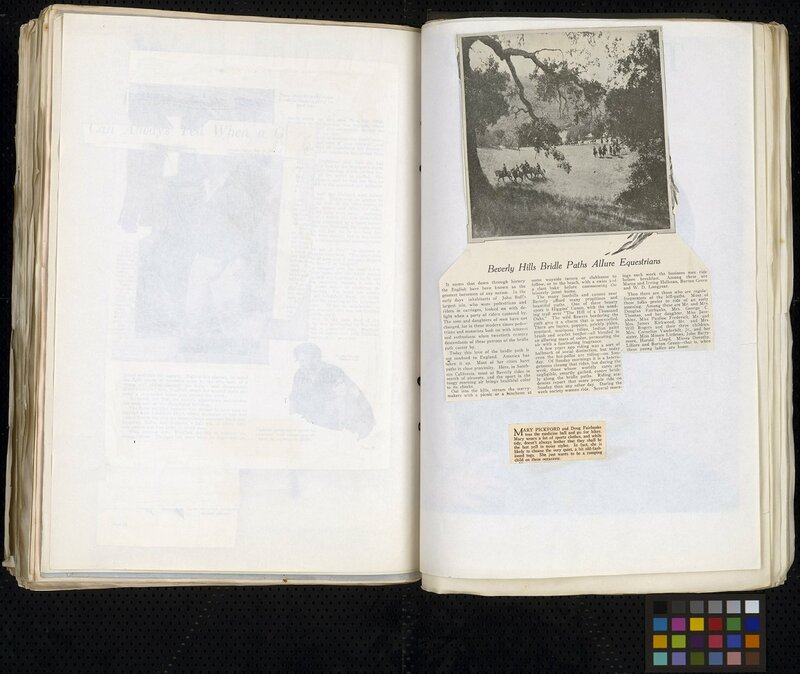 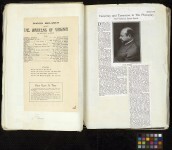 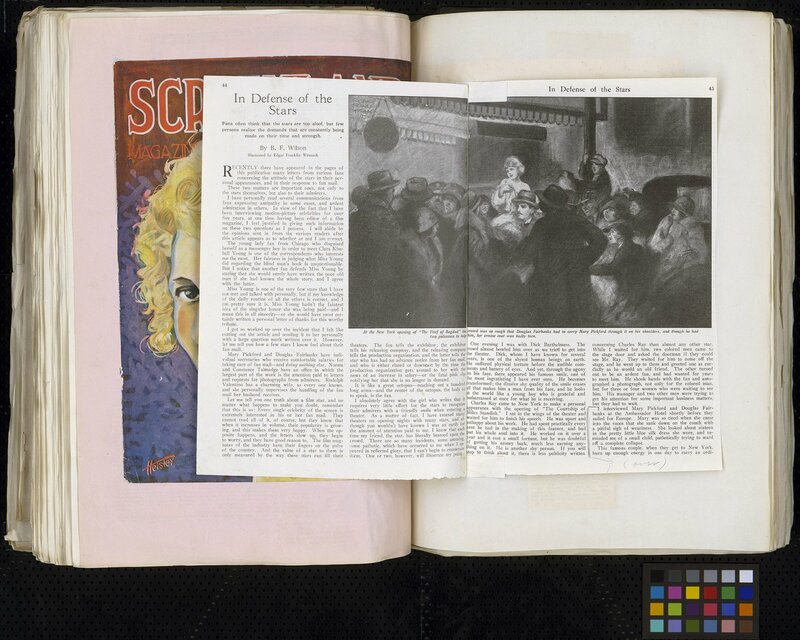 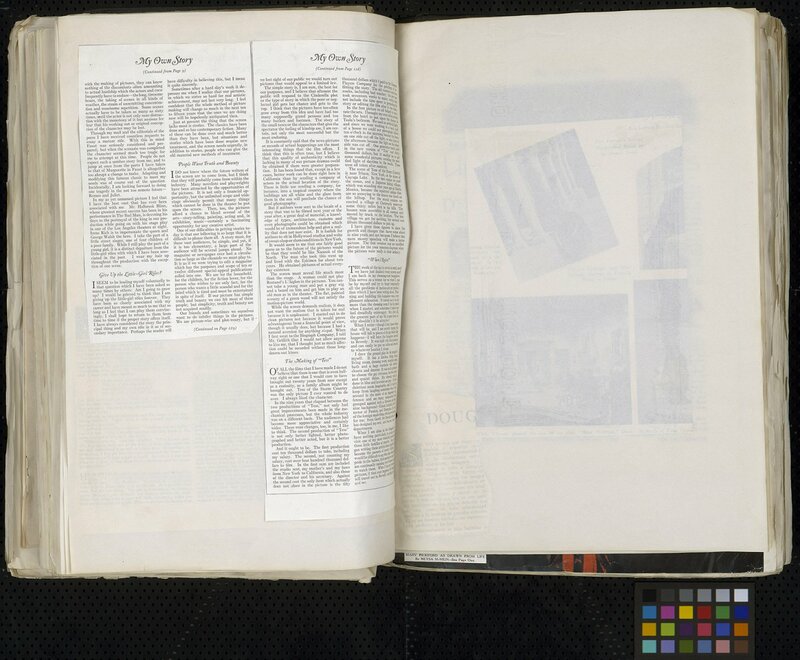 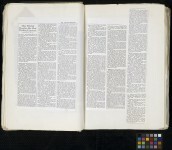 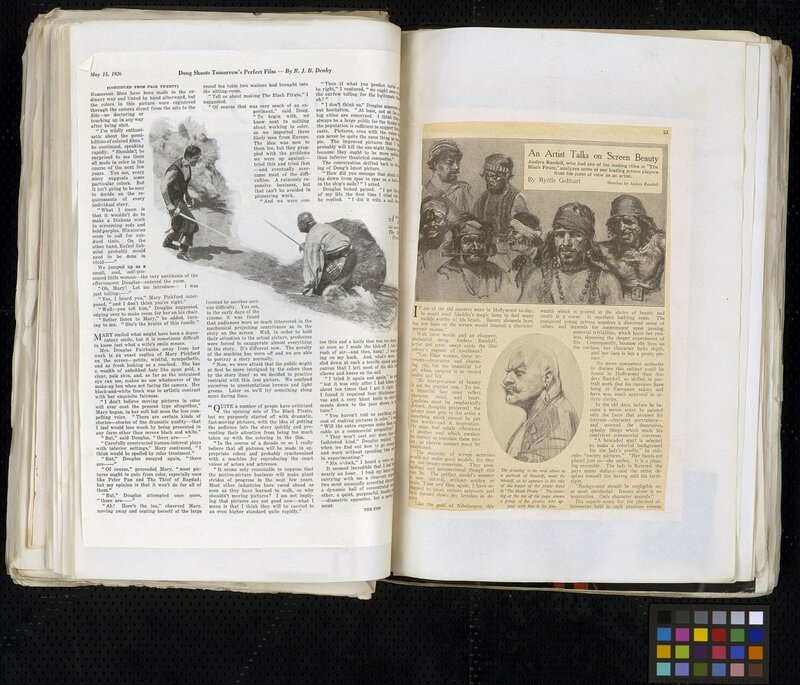 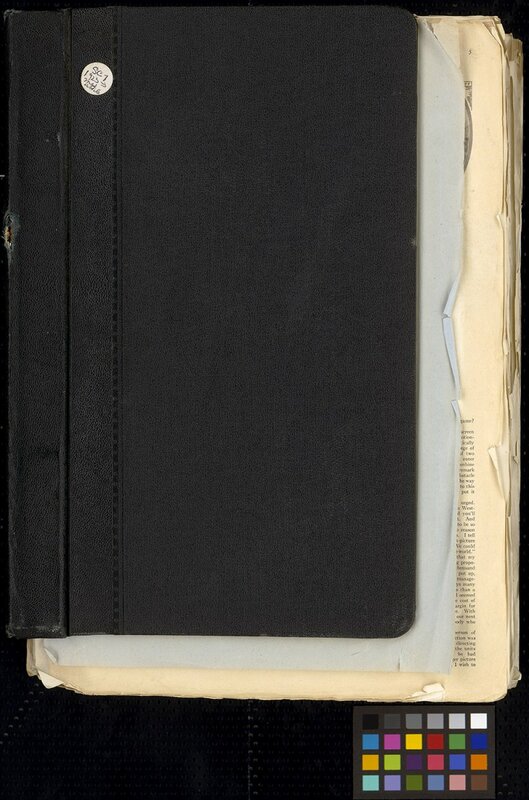 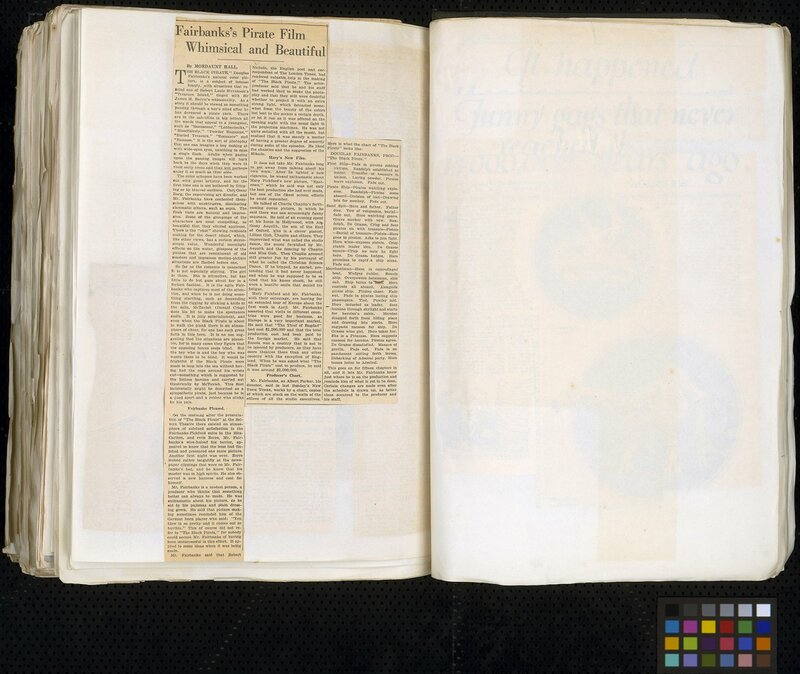 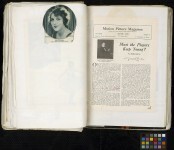 What makes this one a bit different is that it contains full articles published between 1922 and 1925. 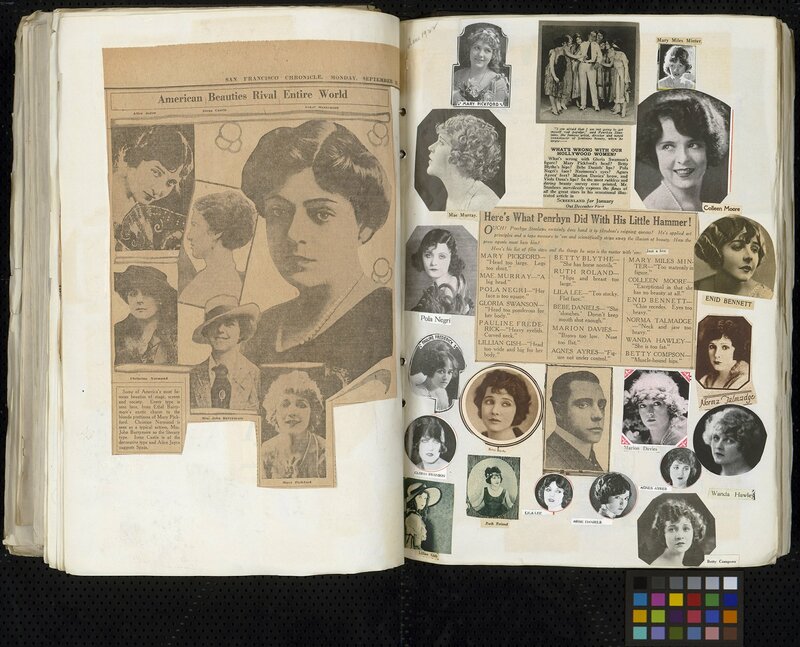 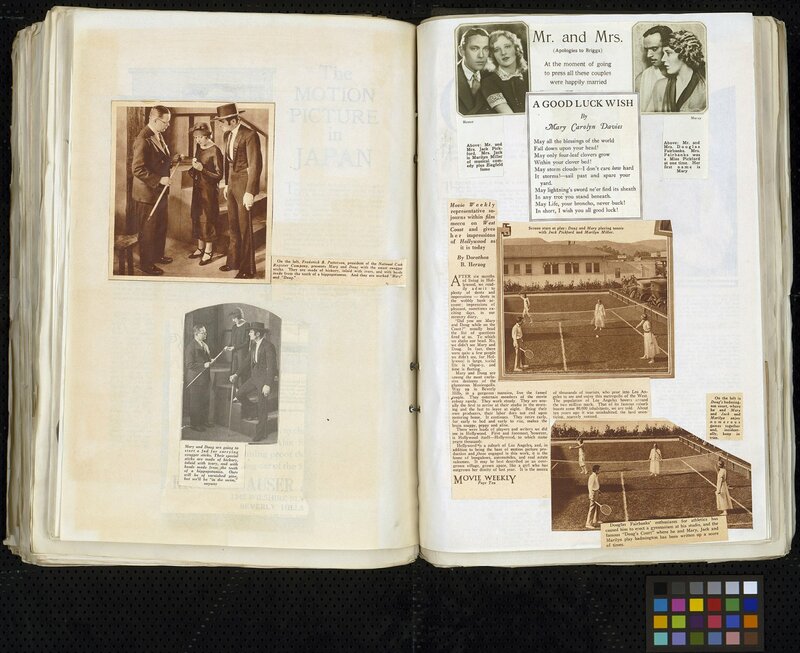 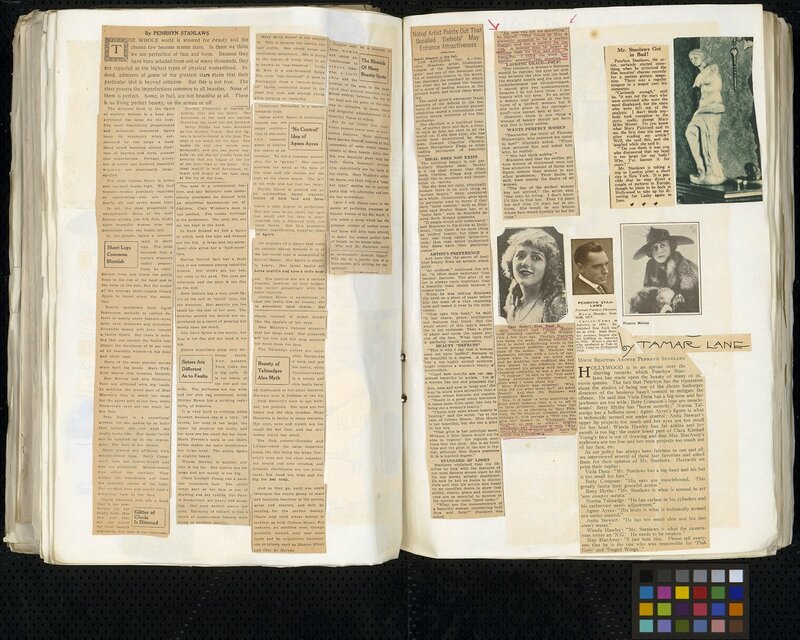 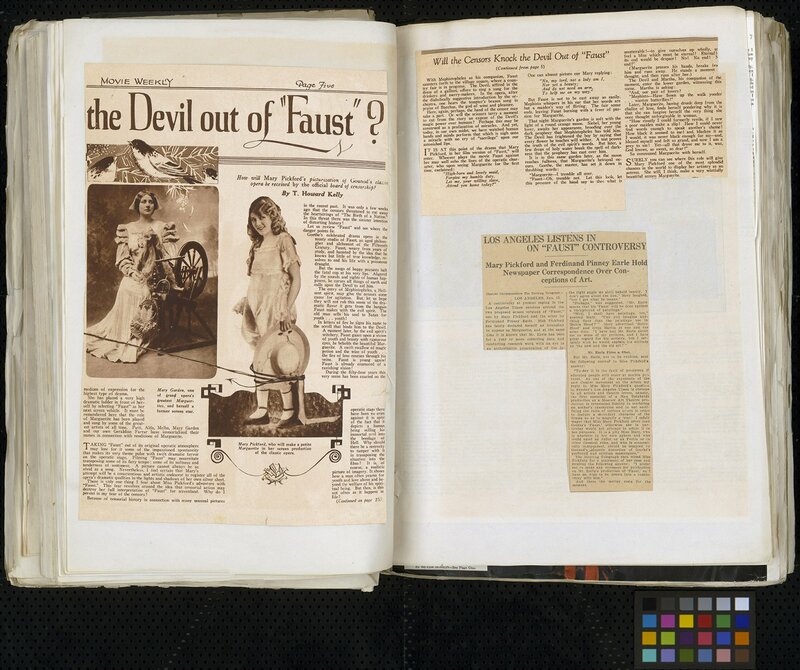 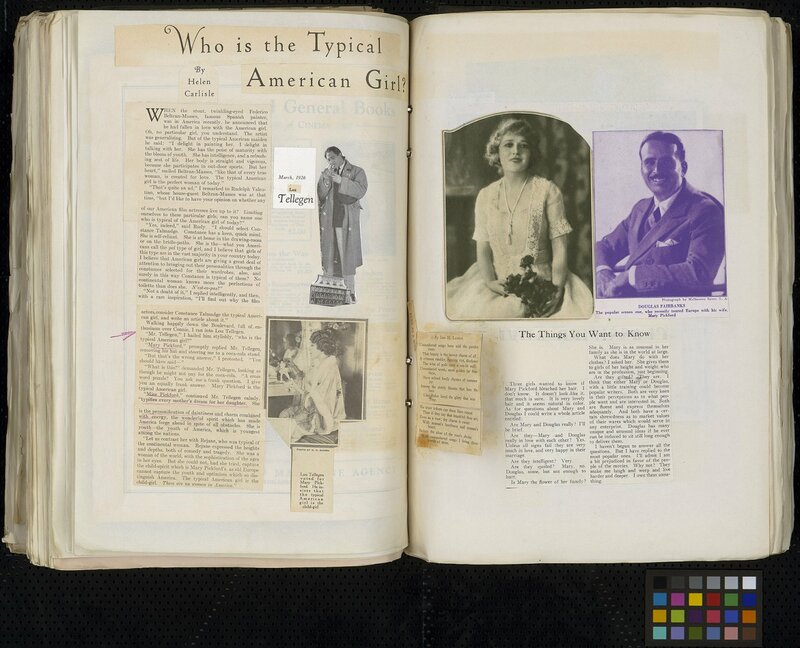 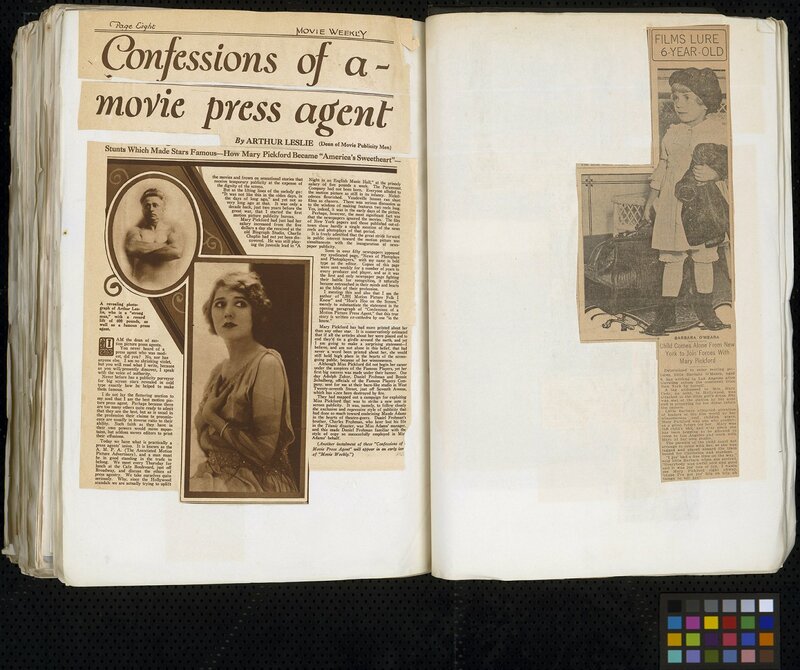 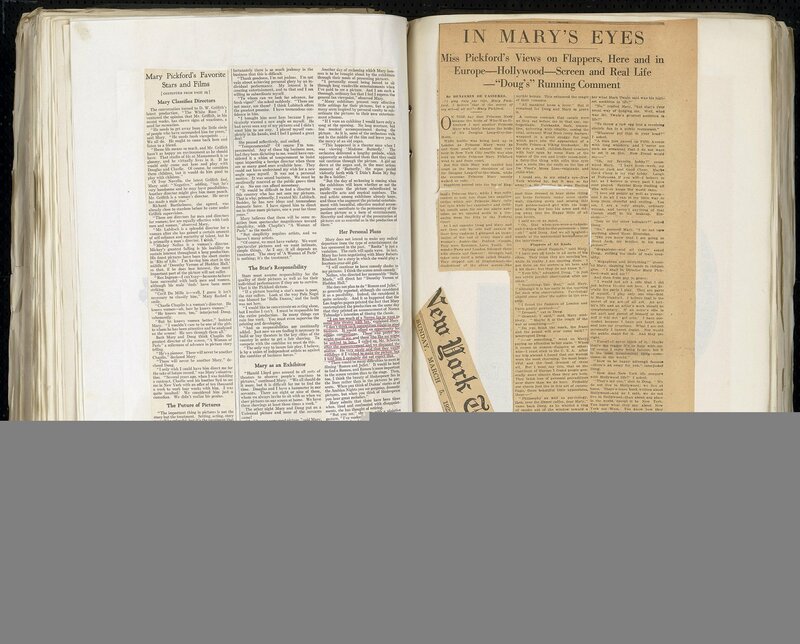 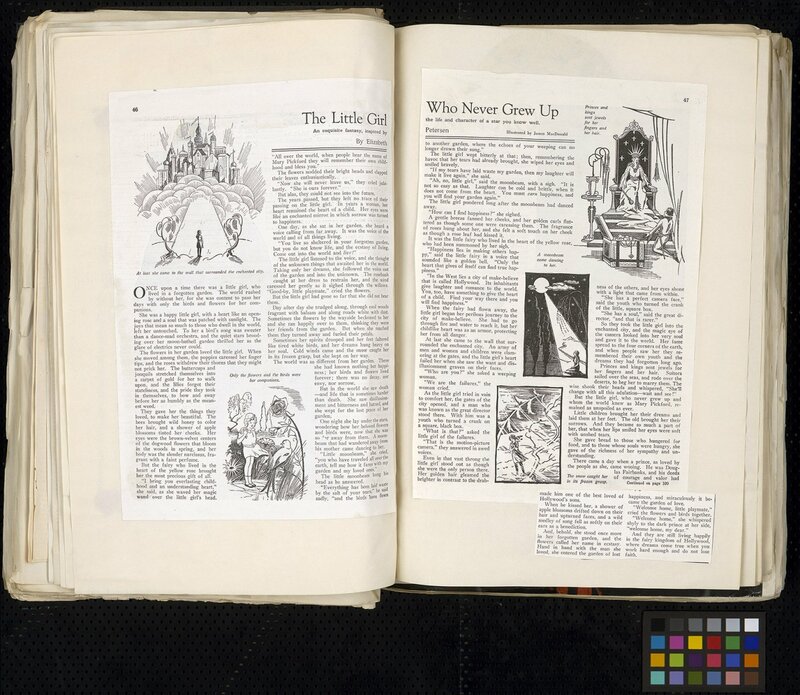 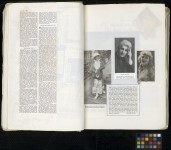 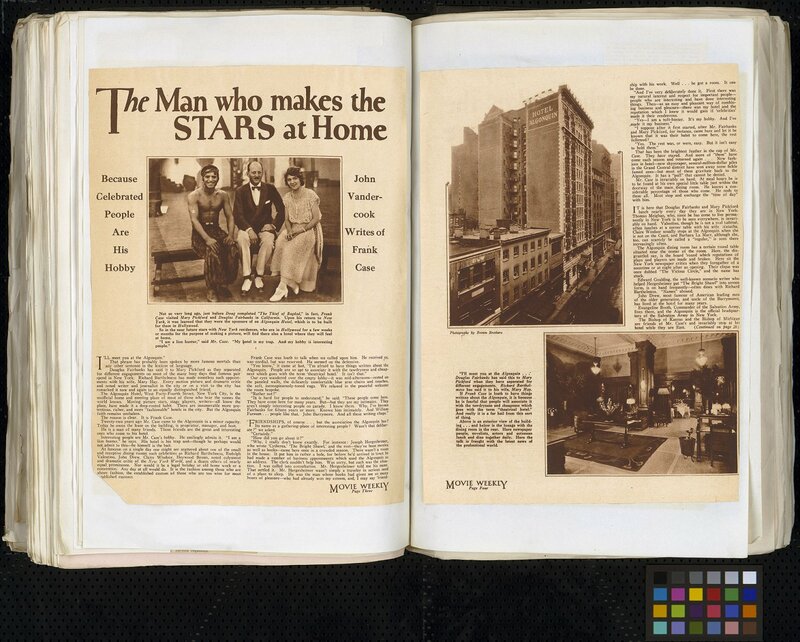 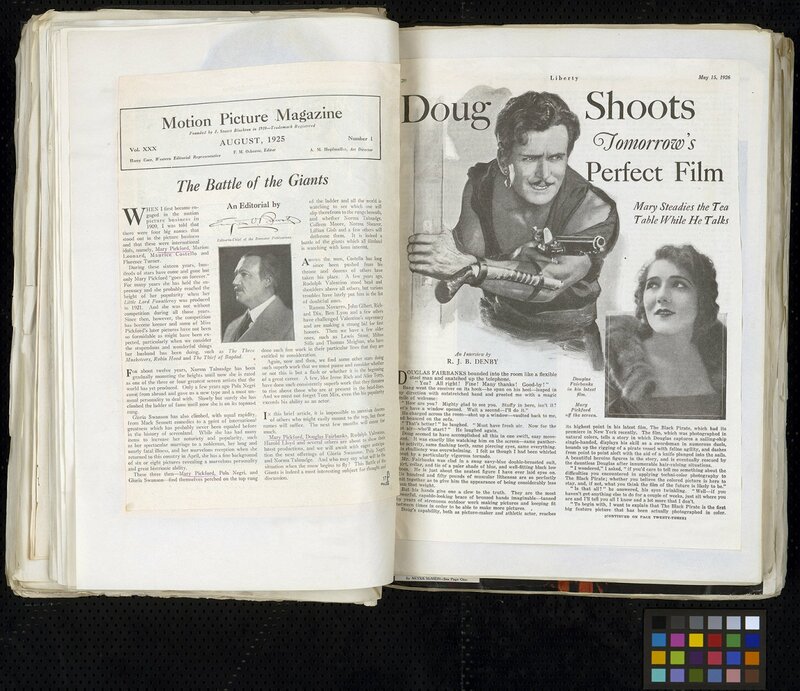 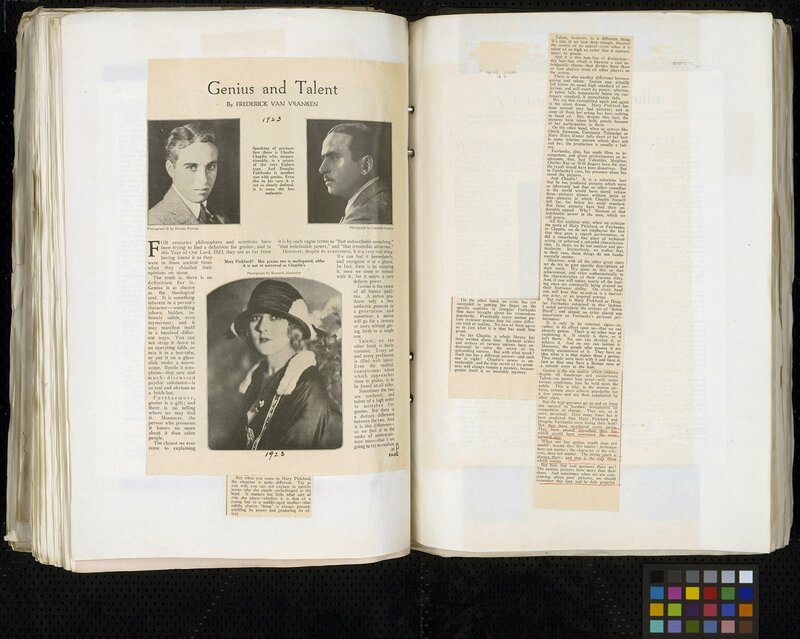 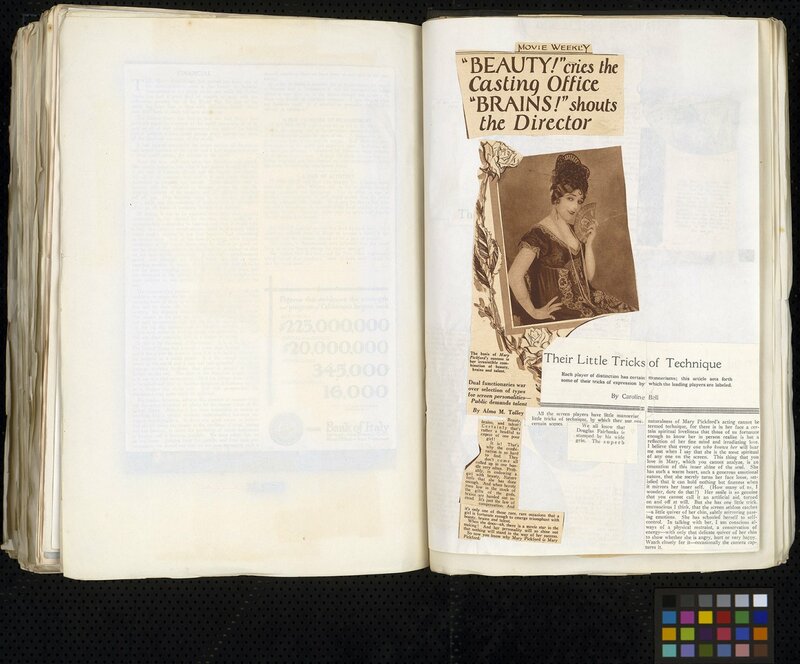 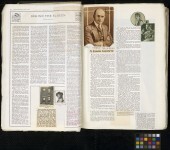 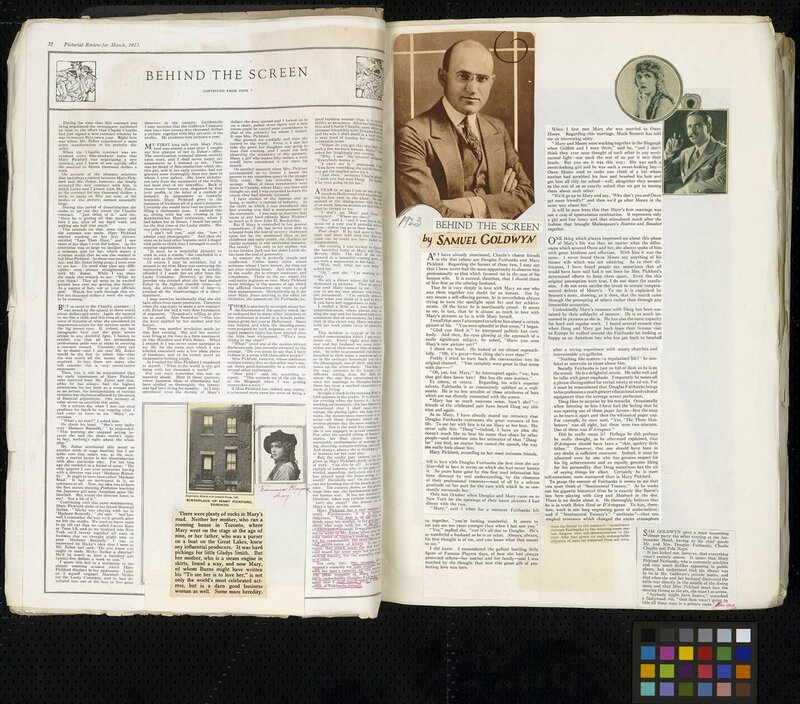 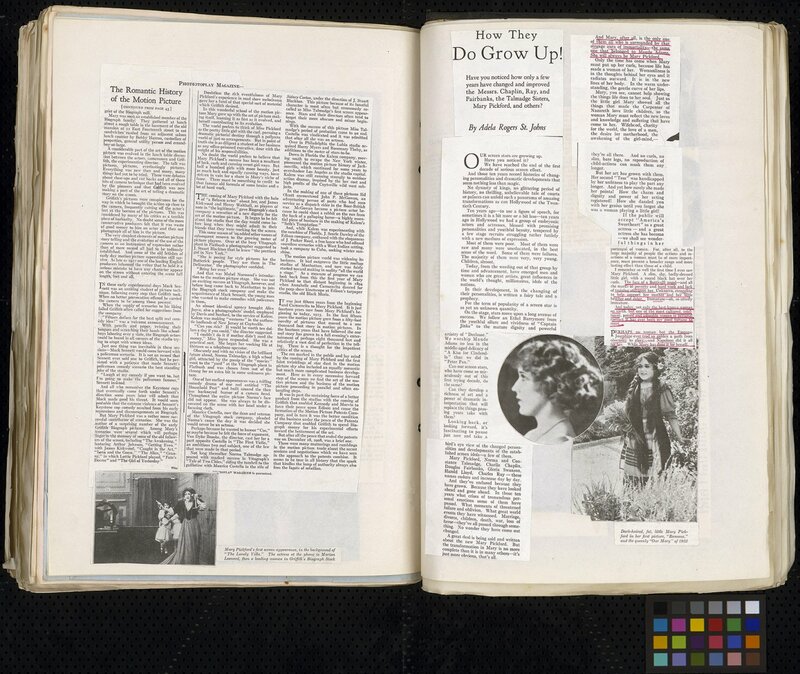 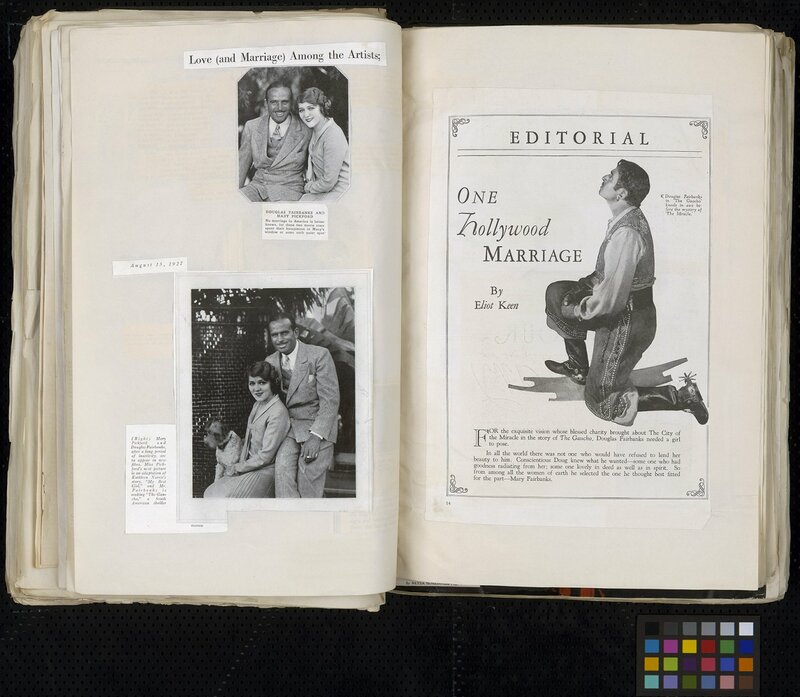 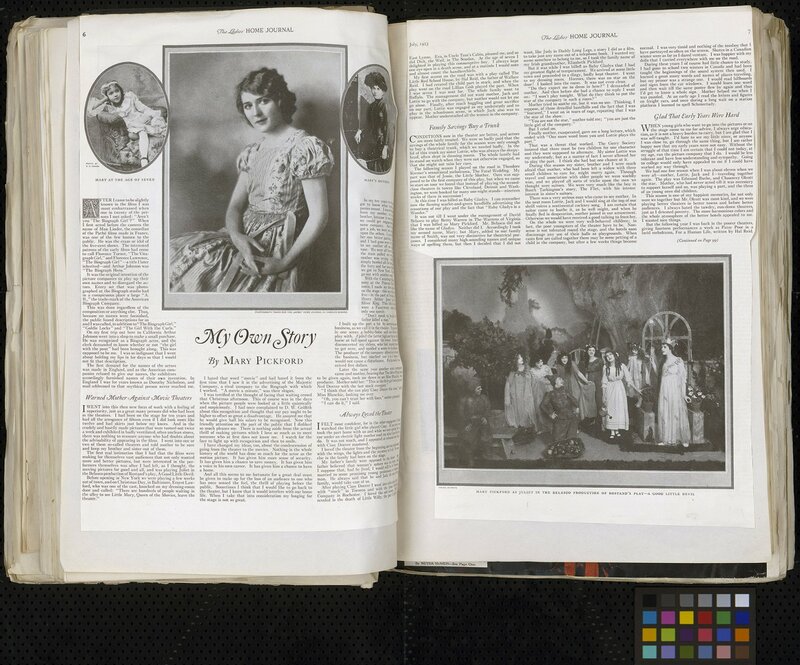 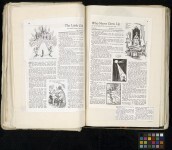 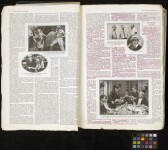 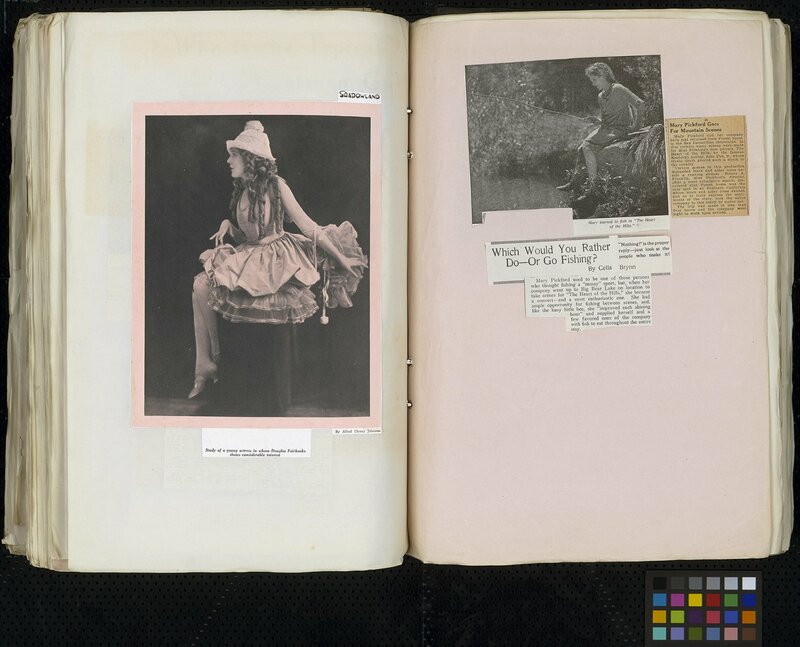 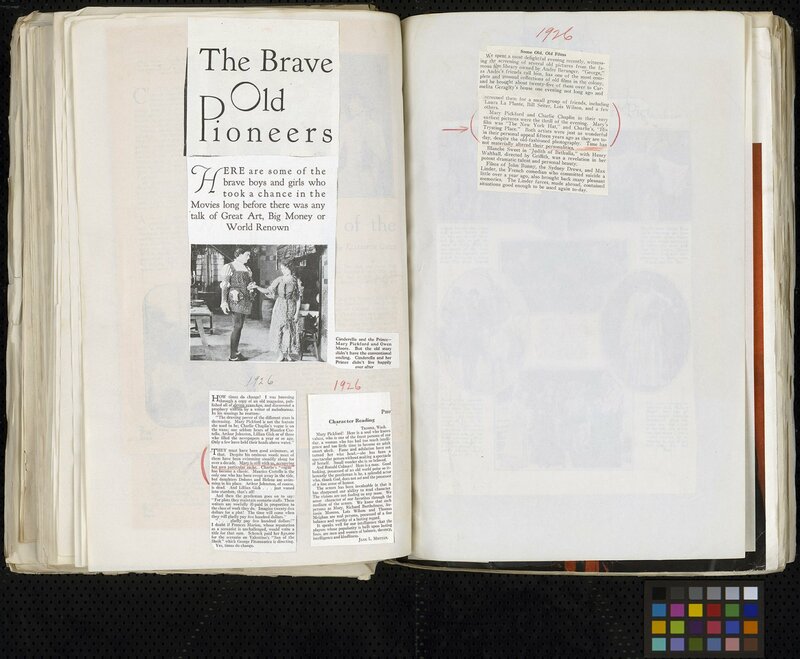 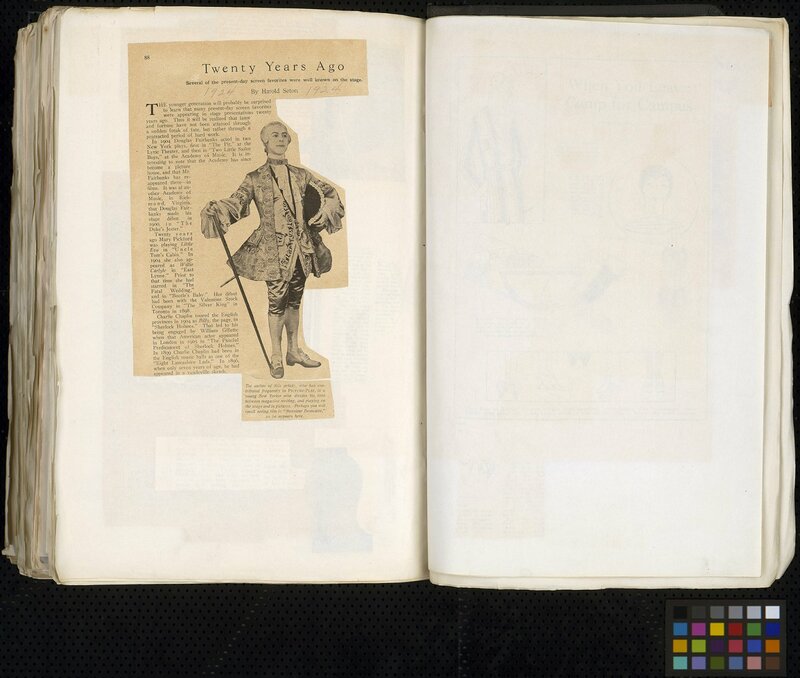 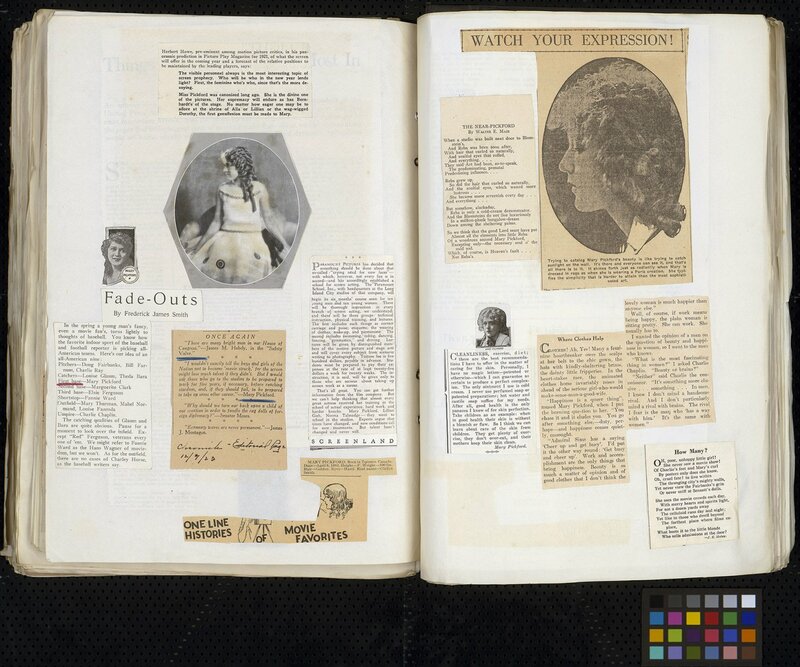 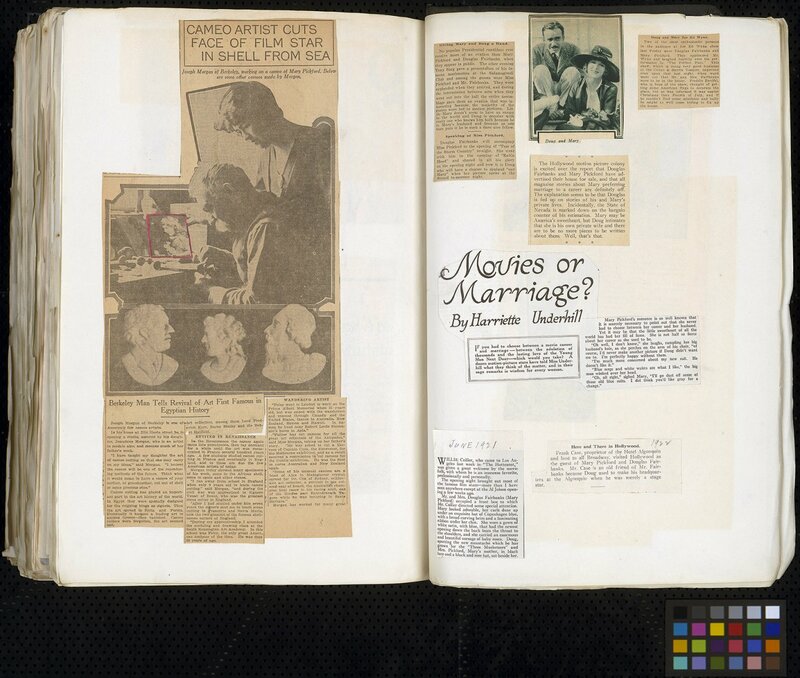 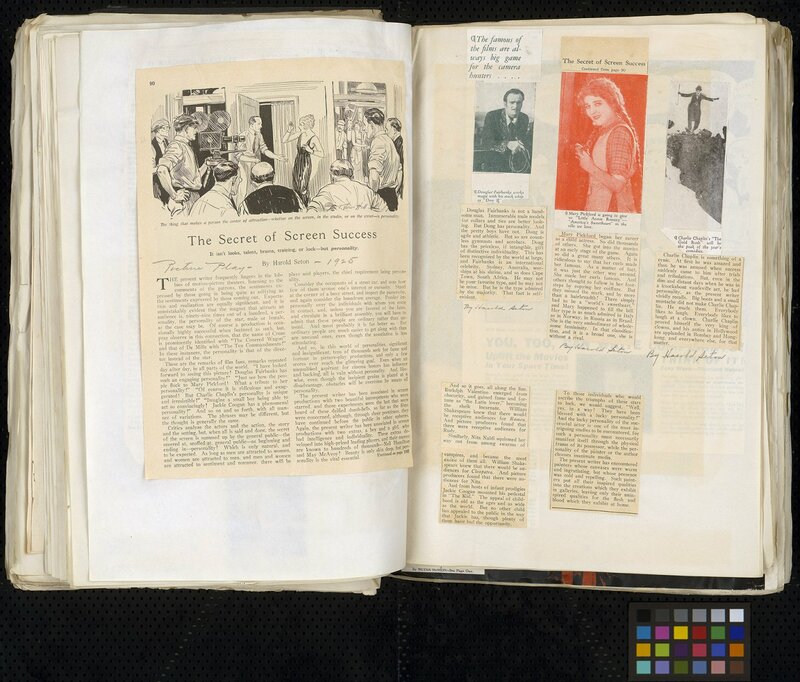 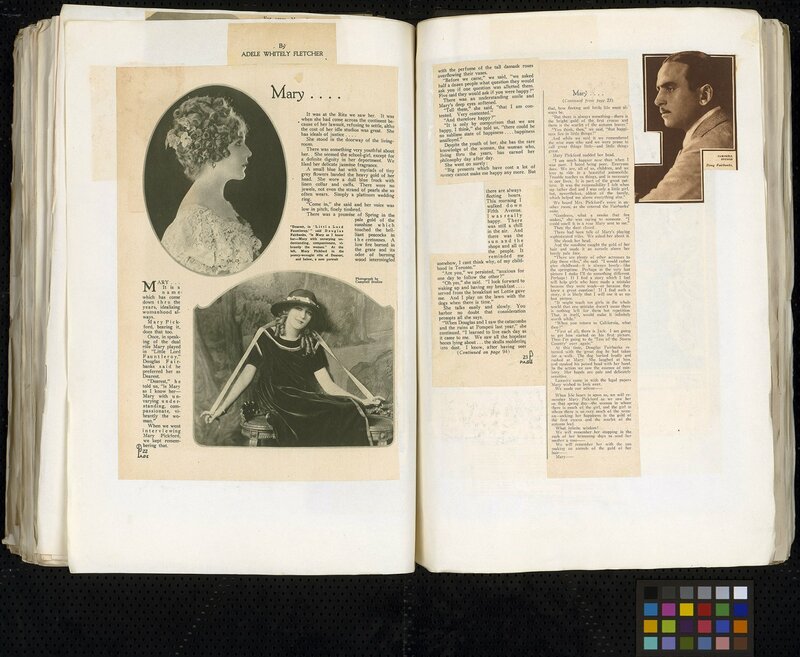 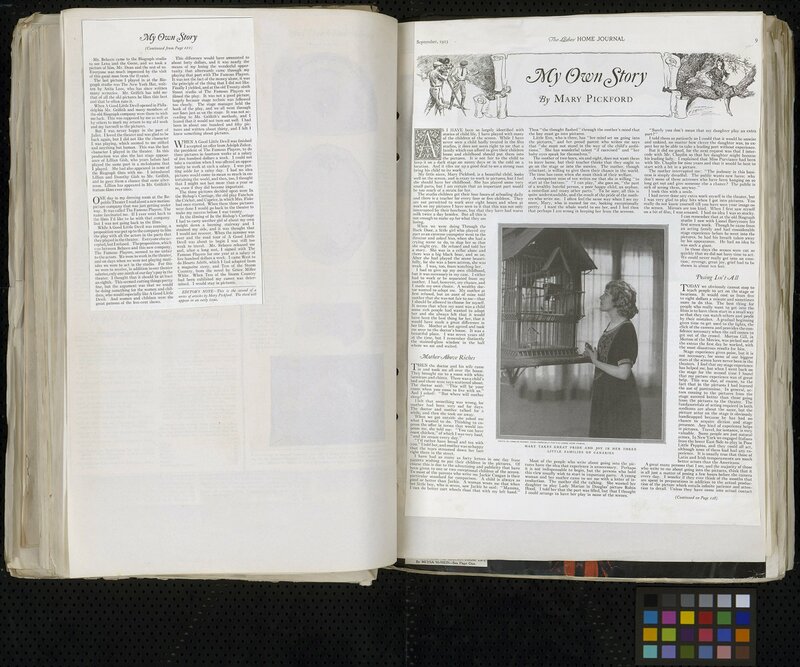 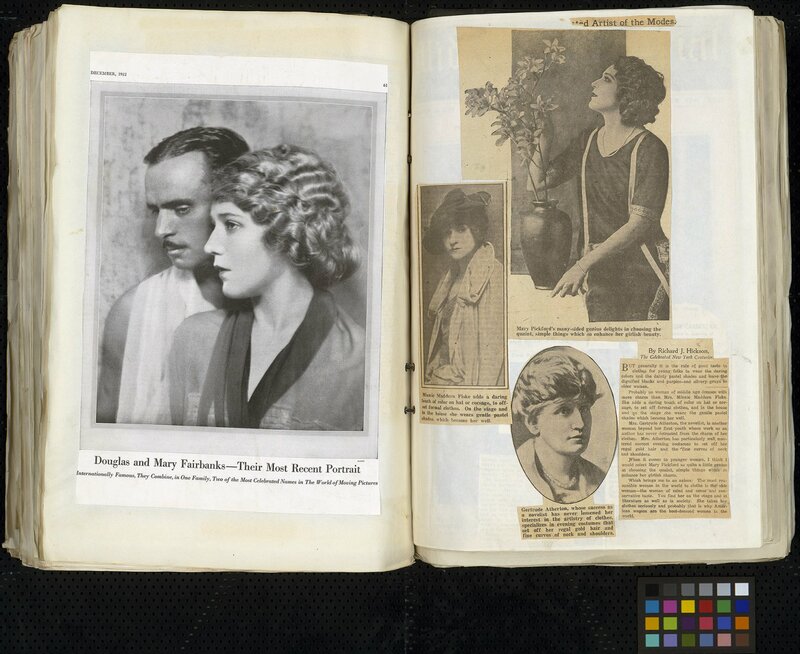 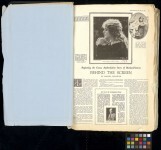 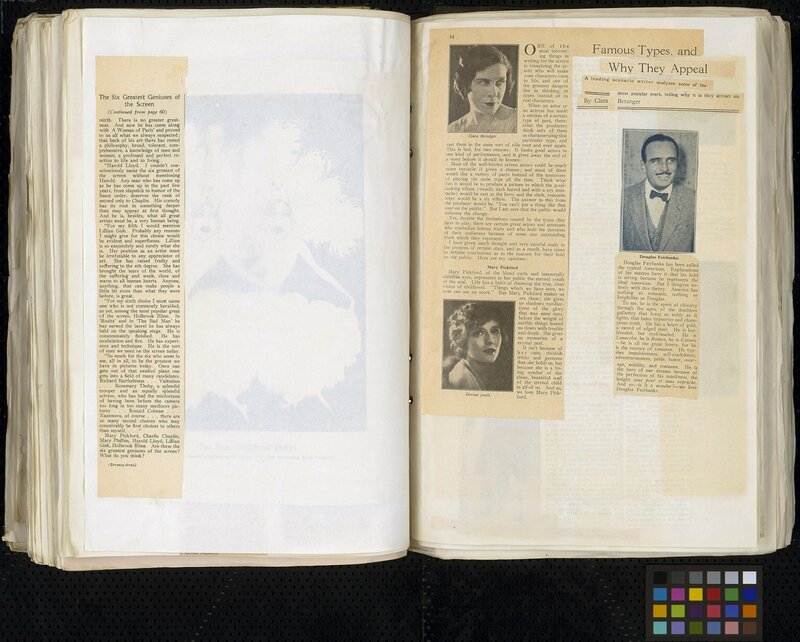 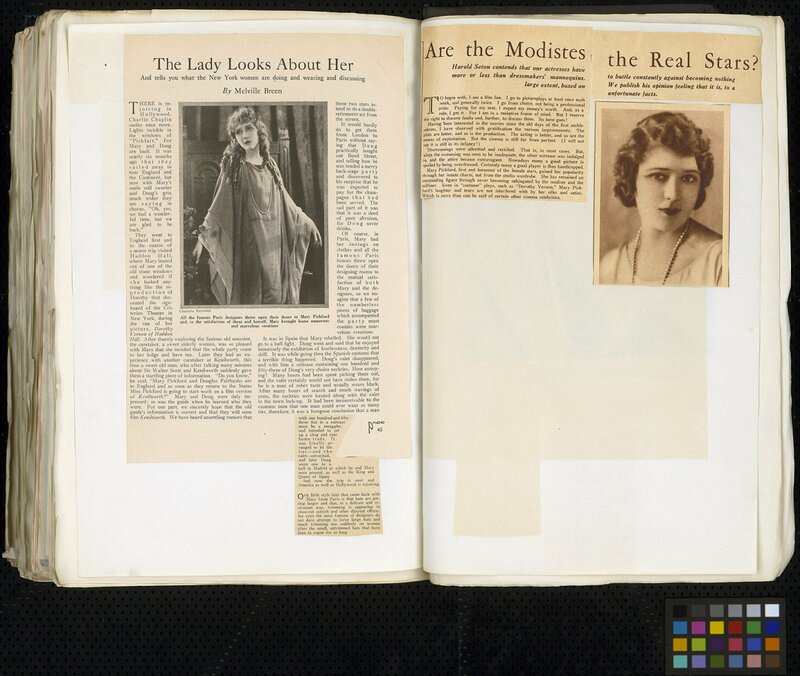 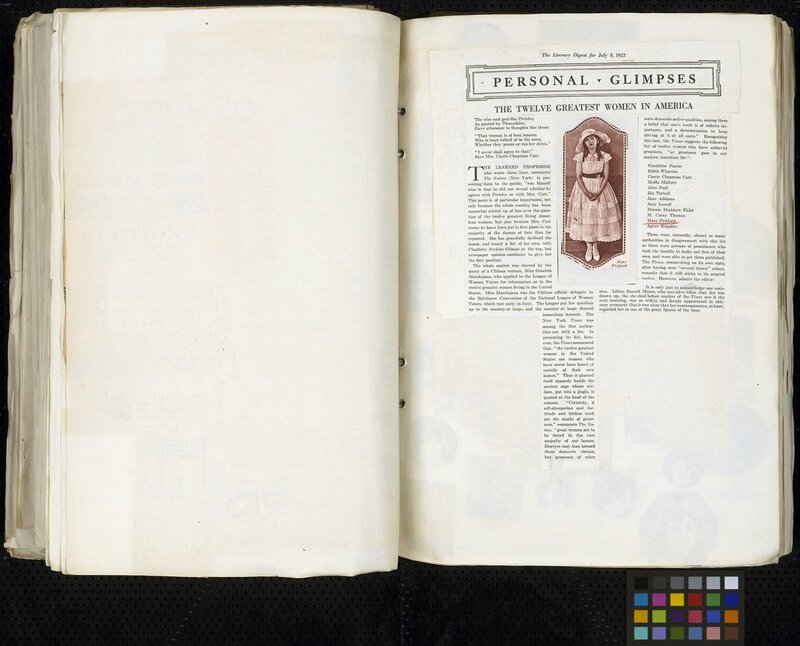 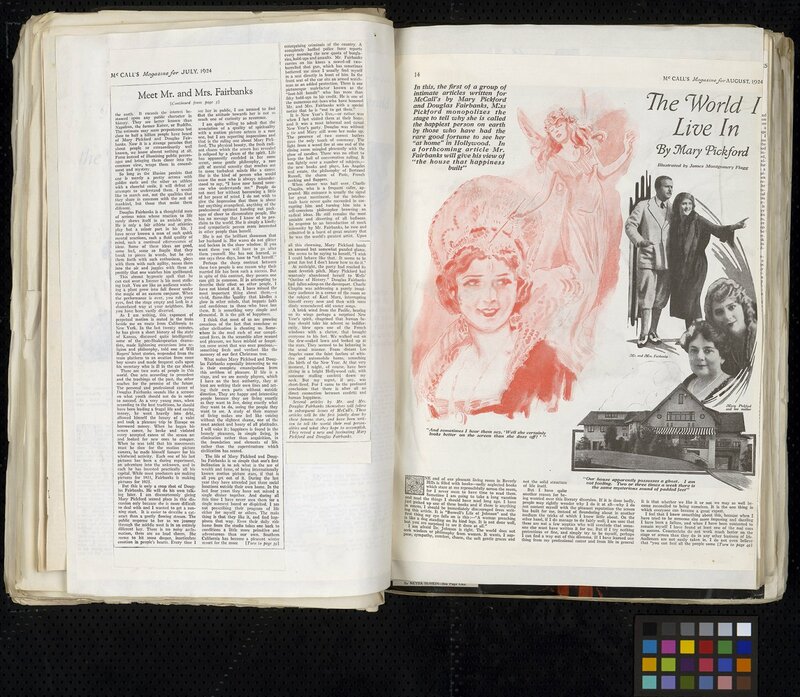 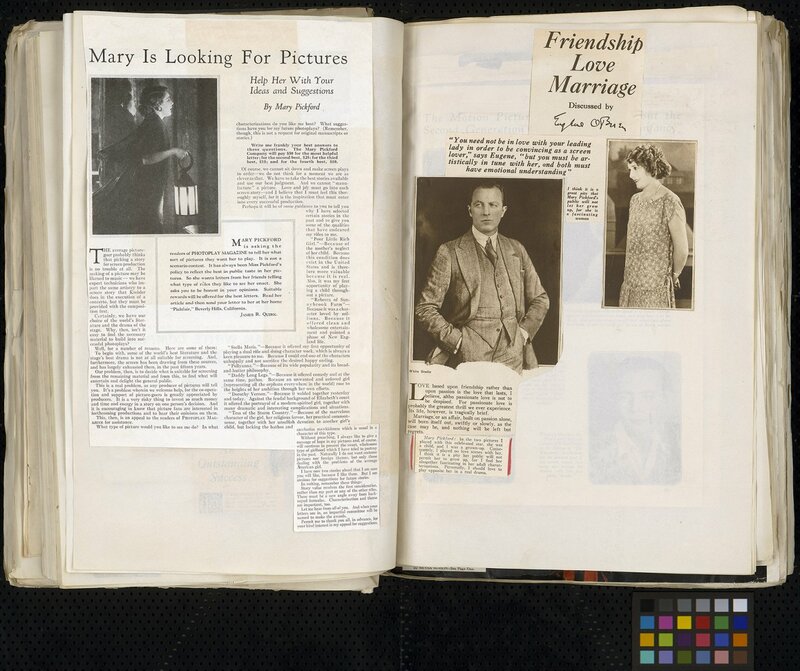 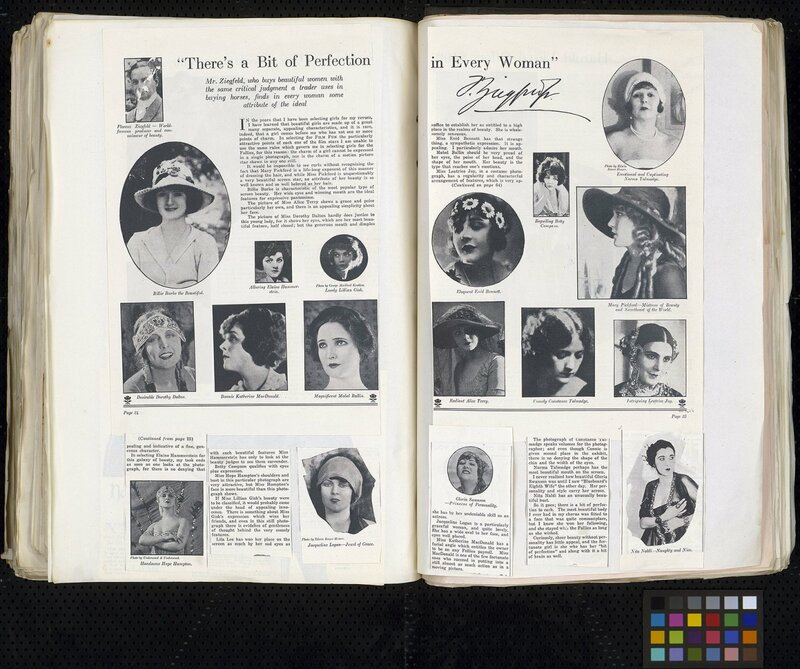 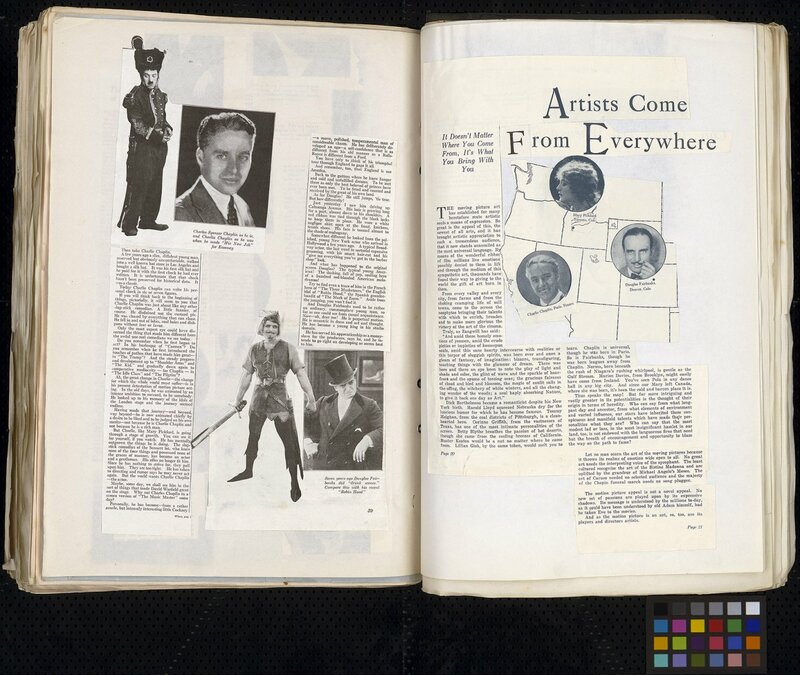 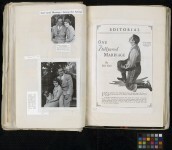 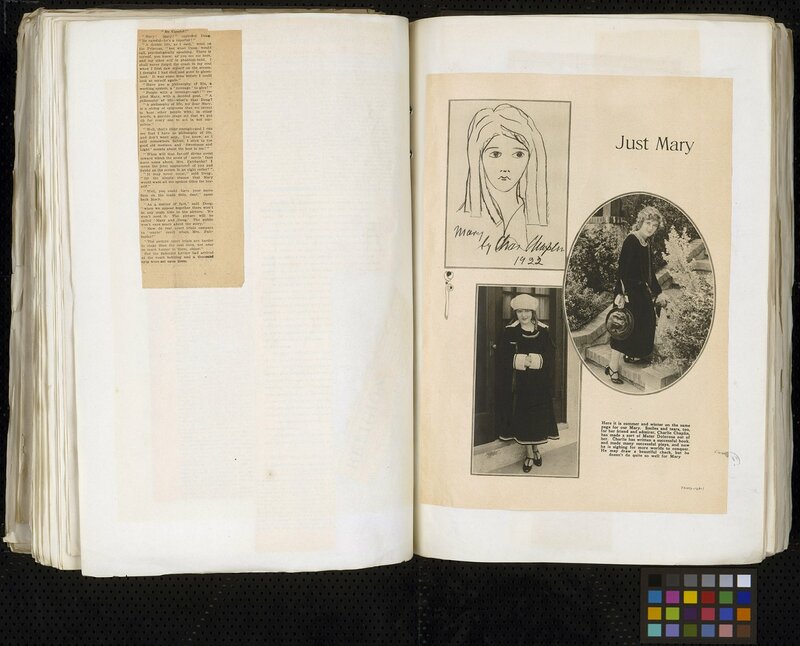 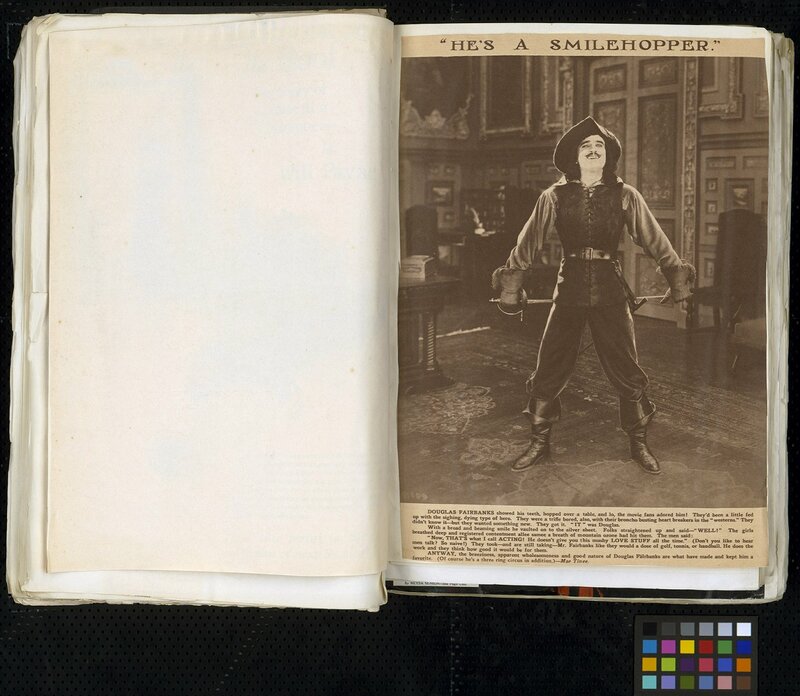 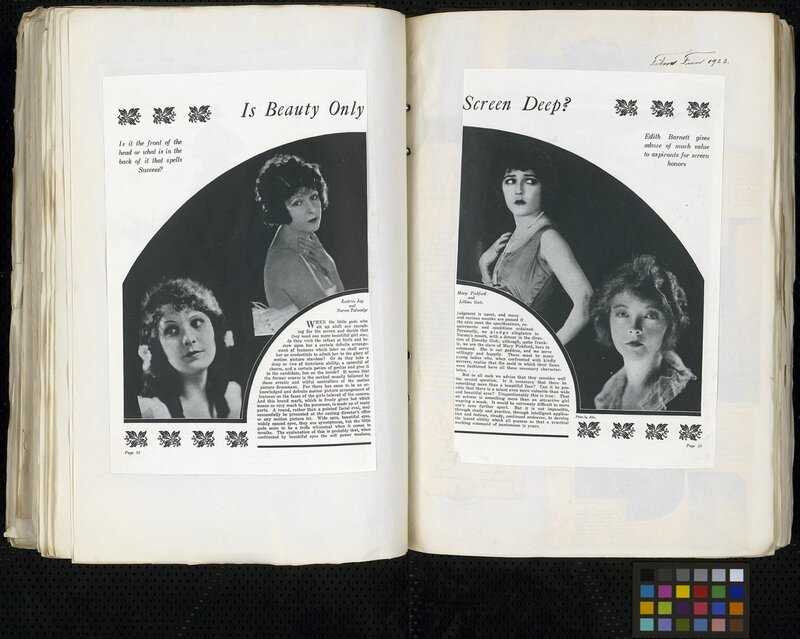 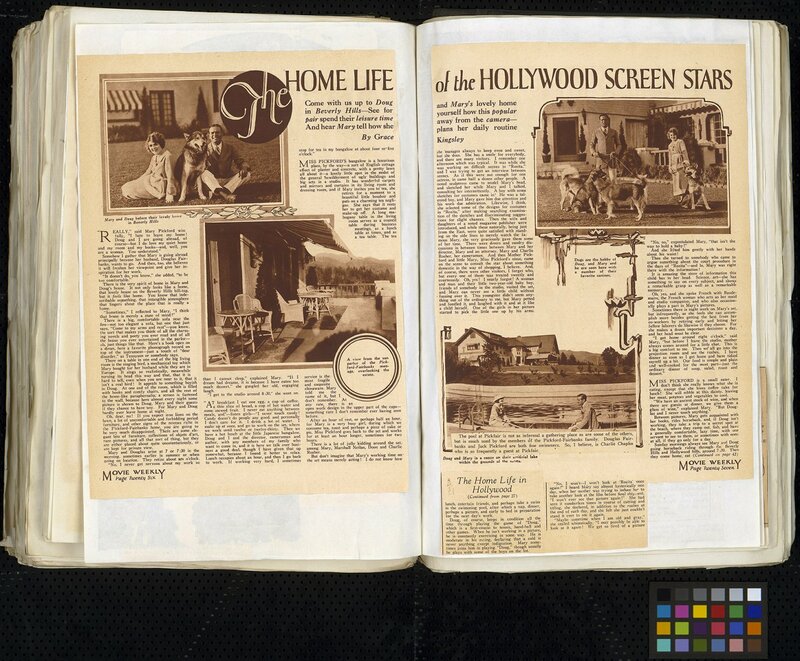 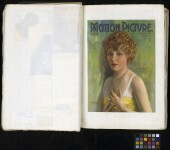 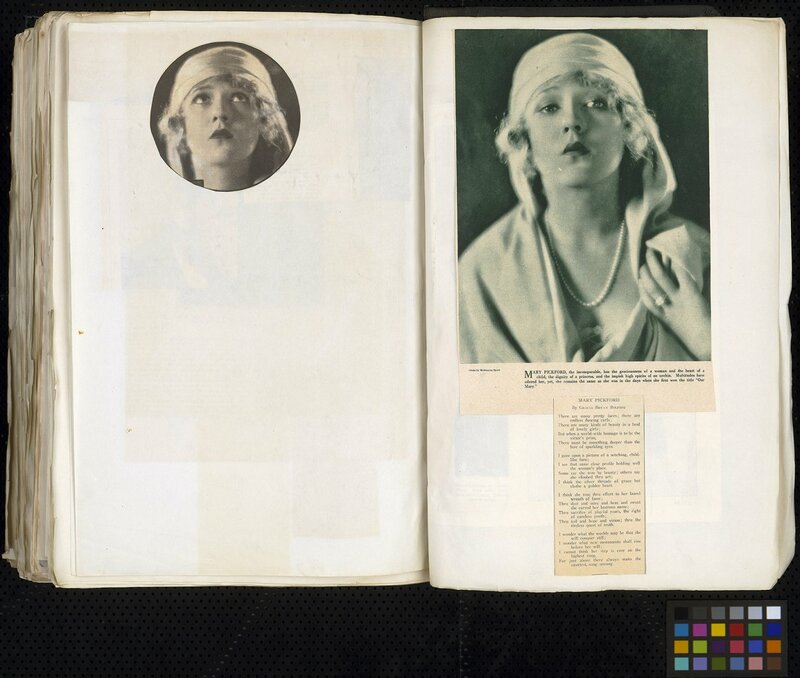 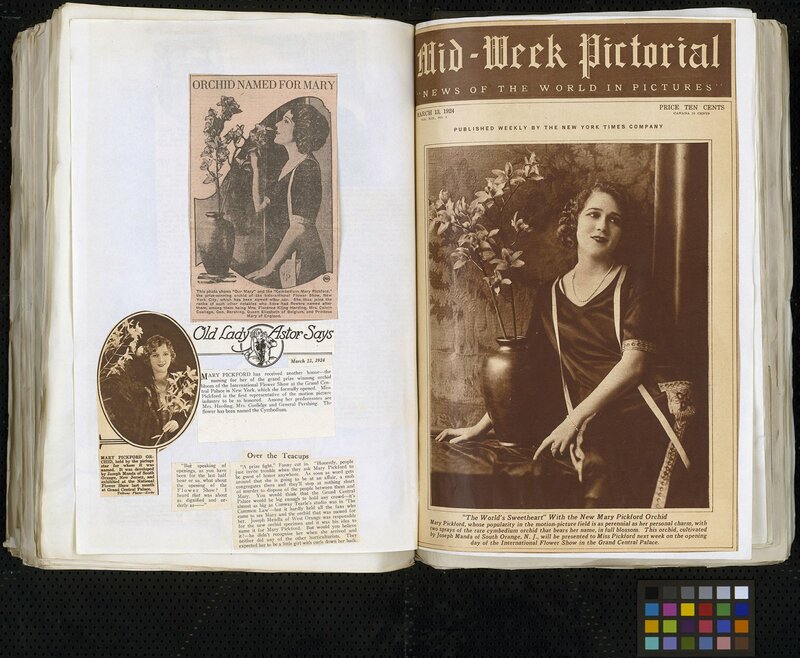 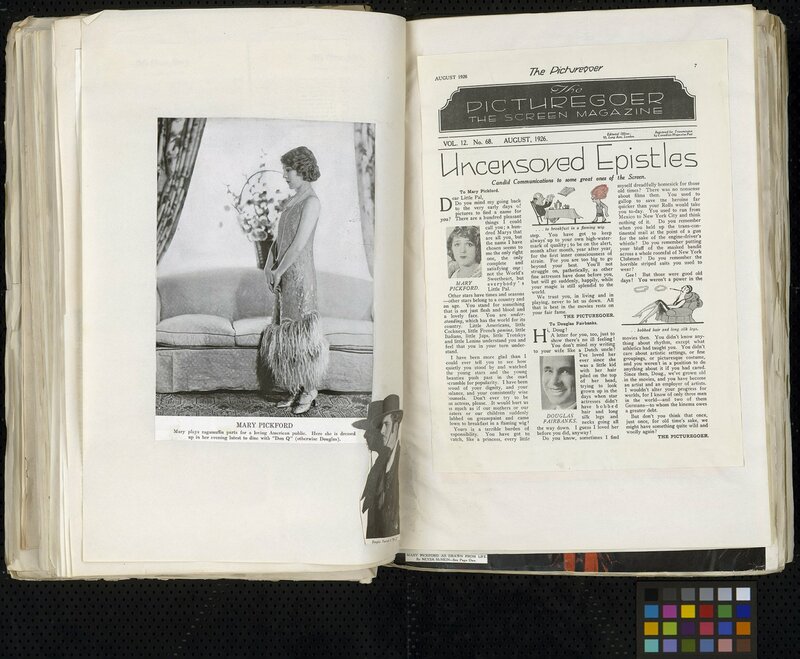 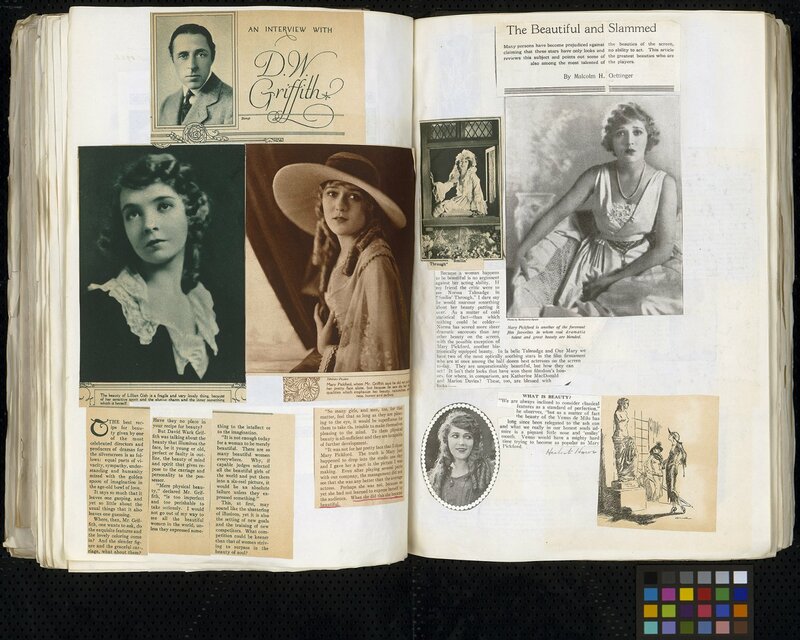 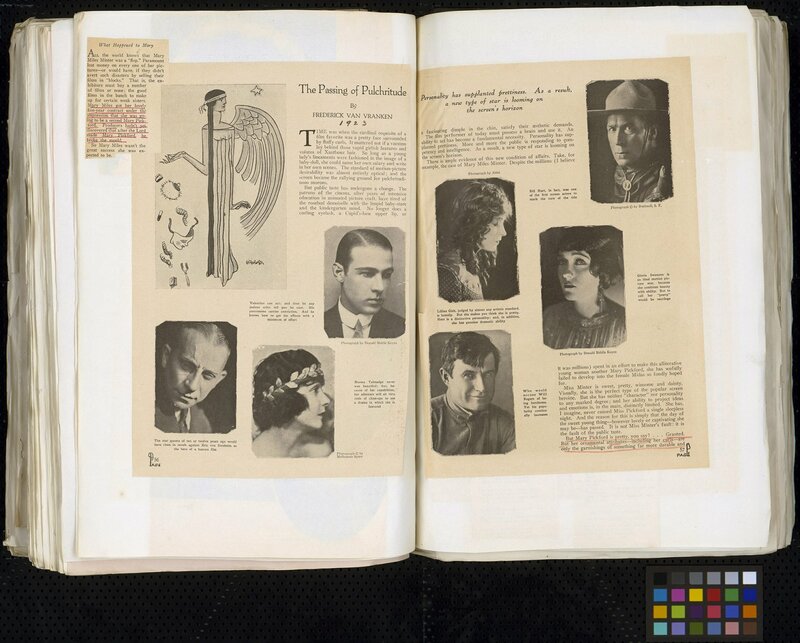 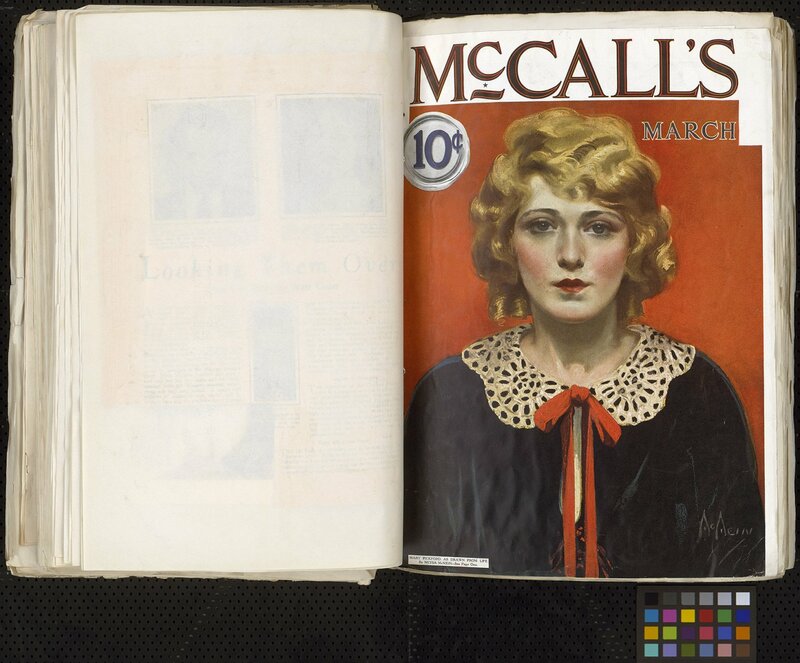 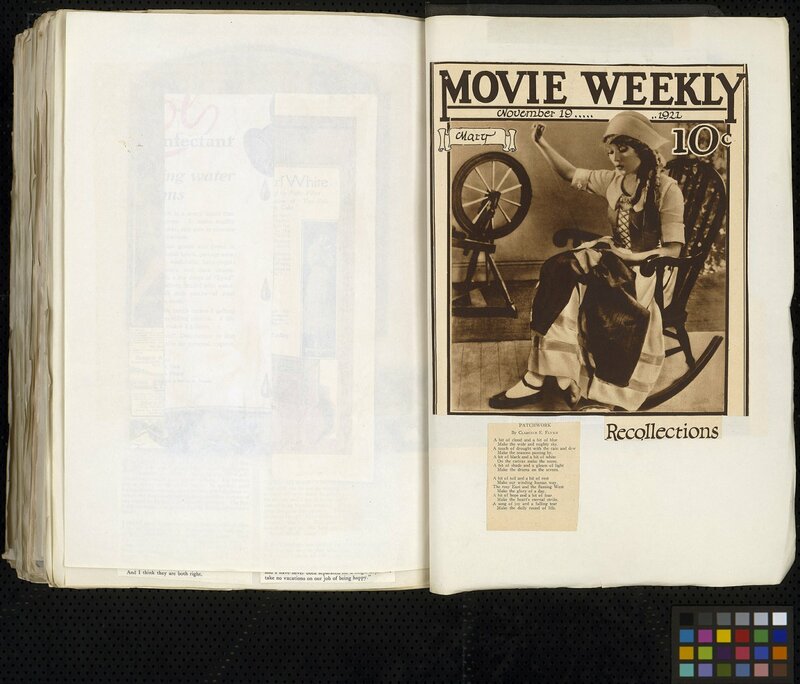 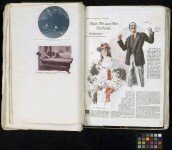 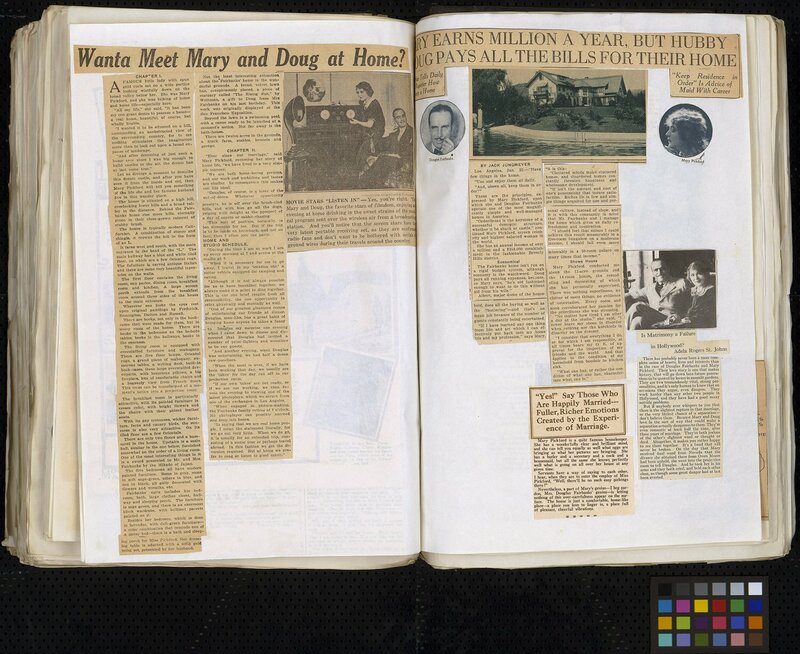 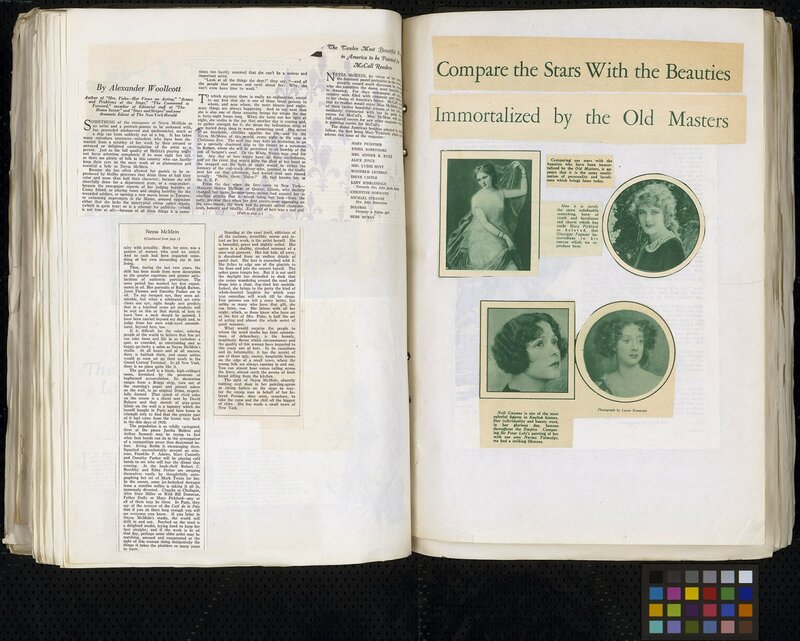 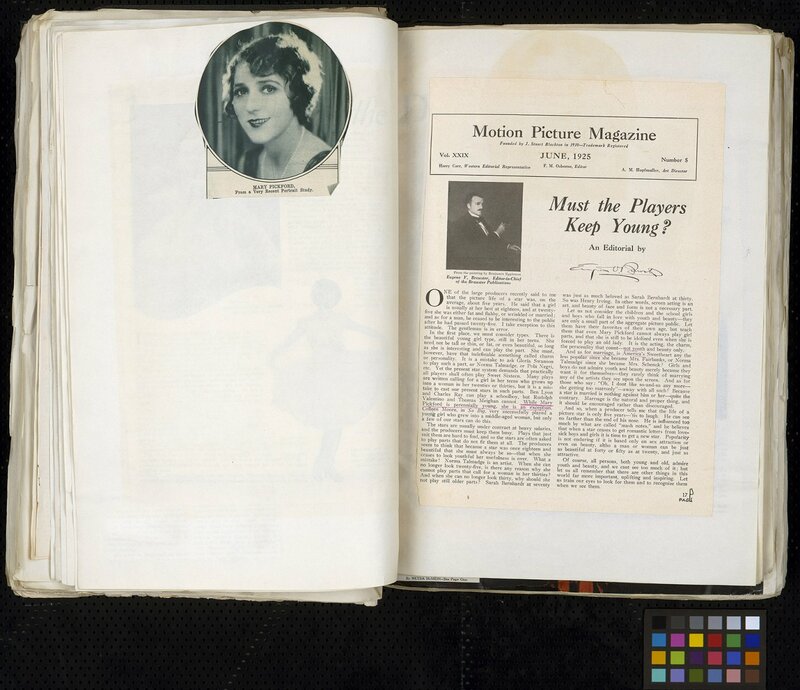 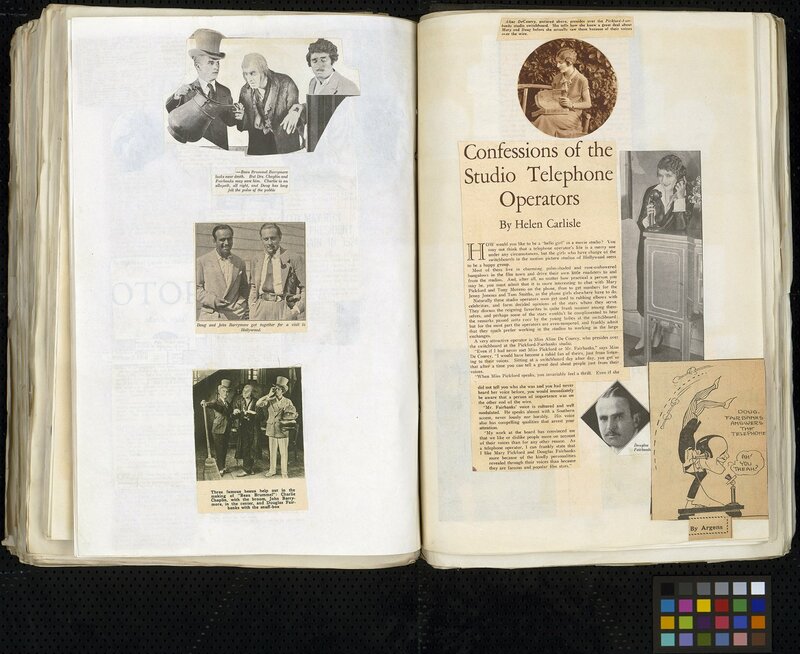 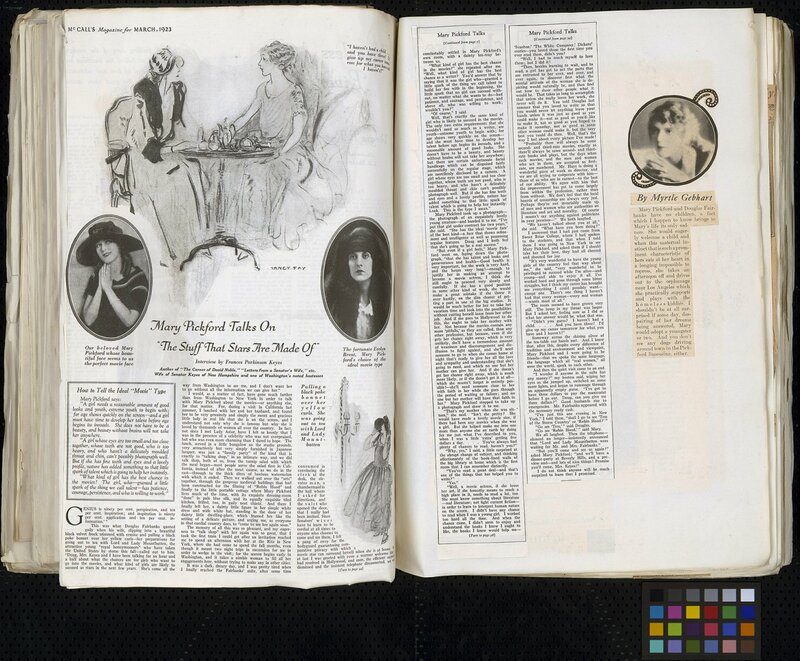 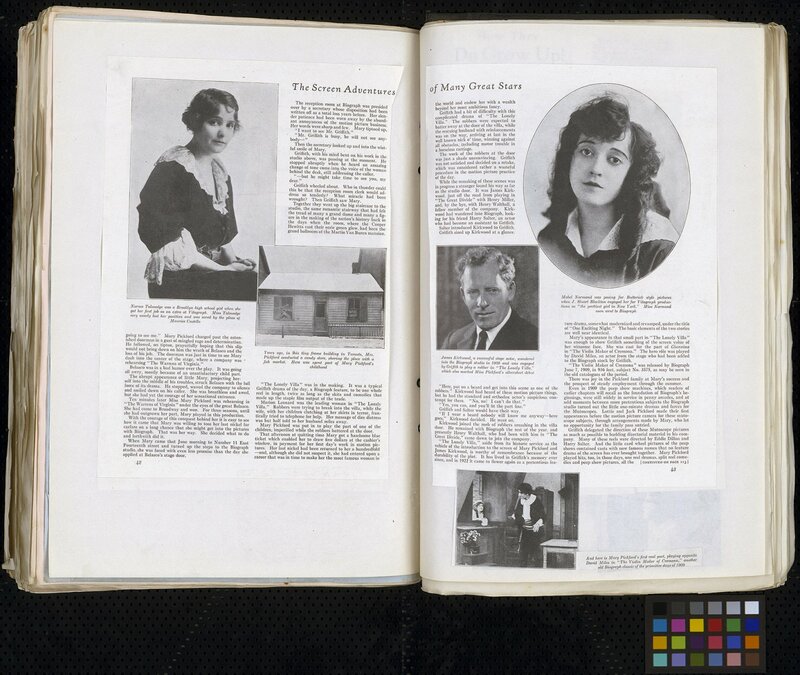 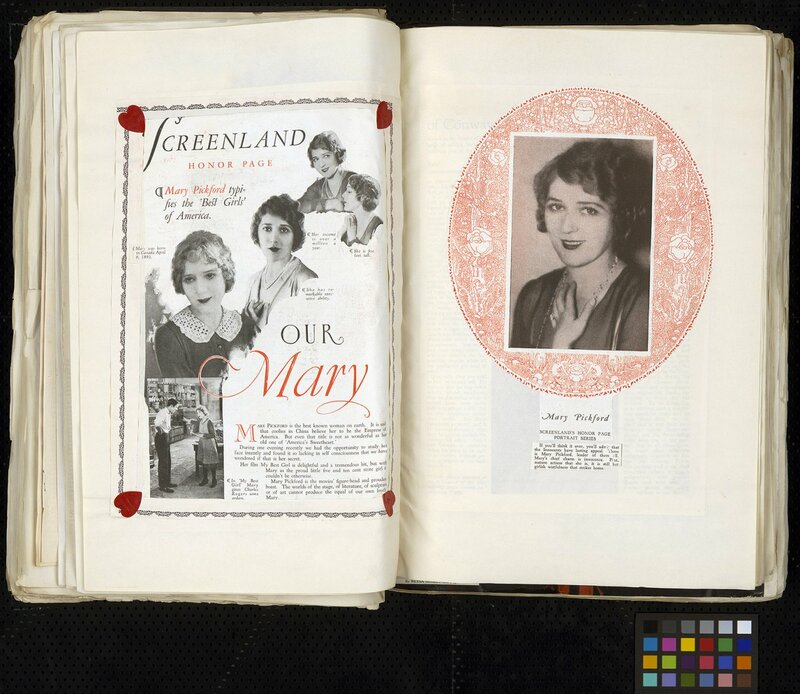 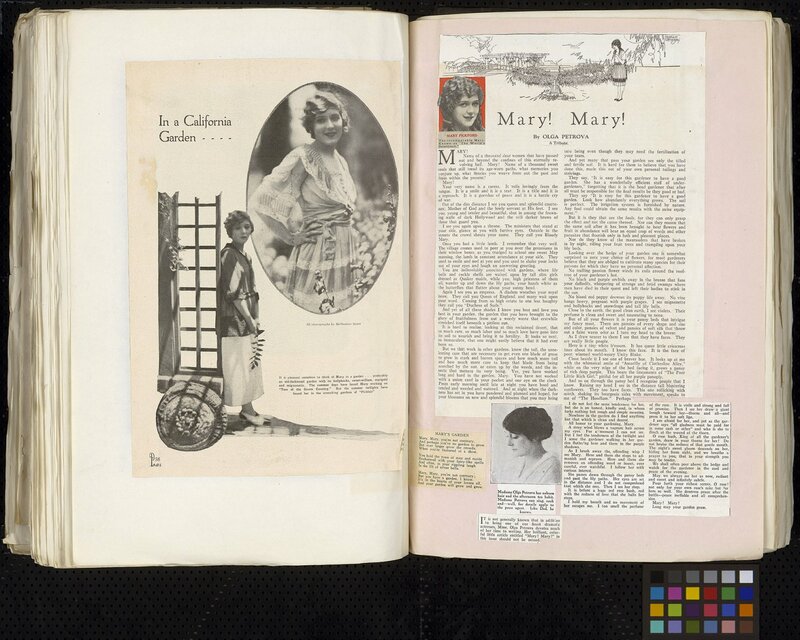 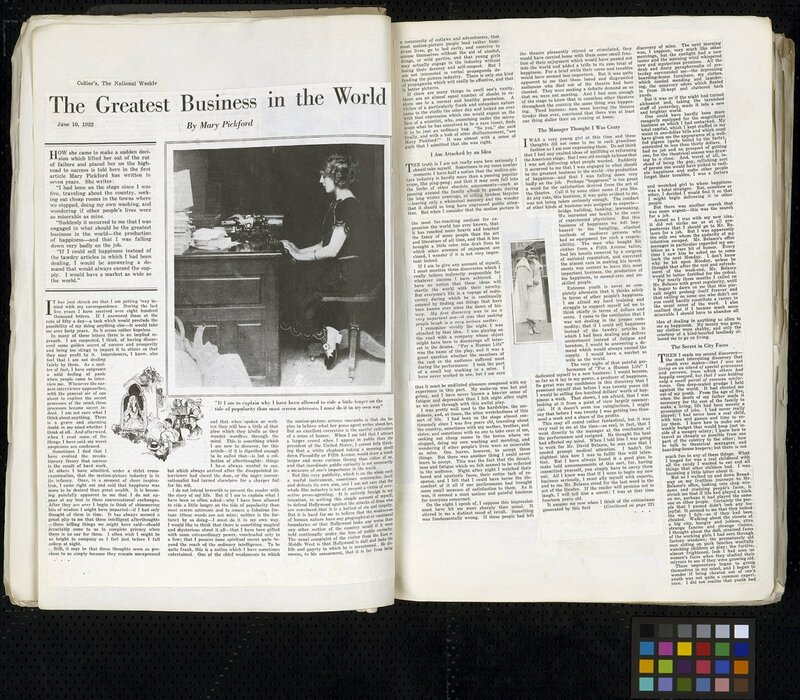 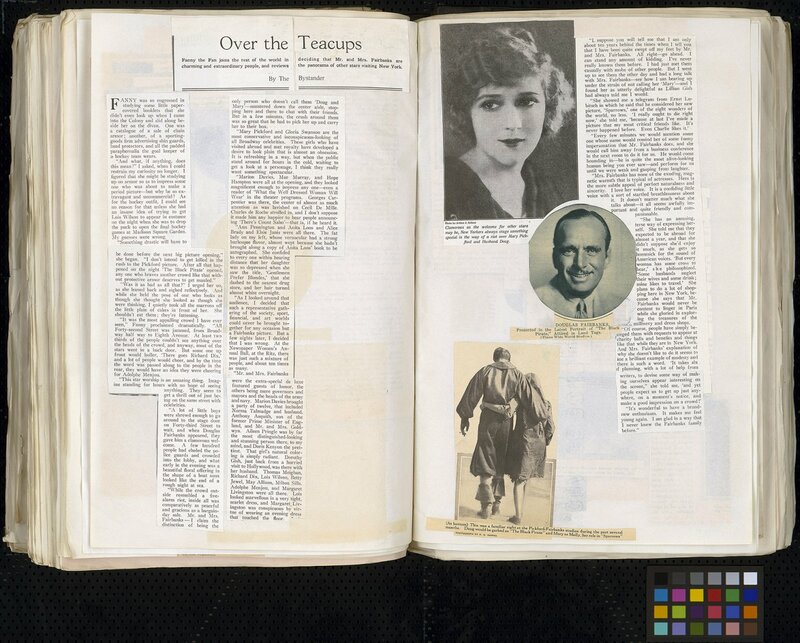 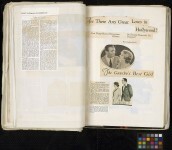 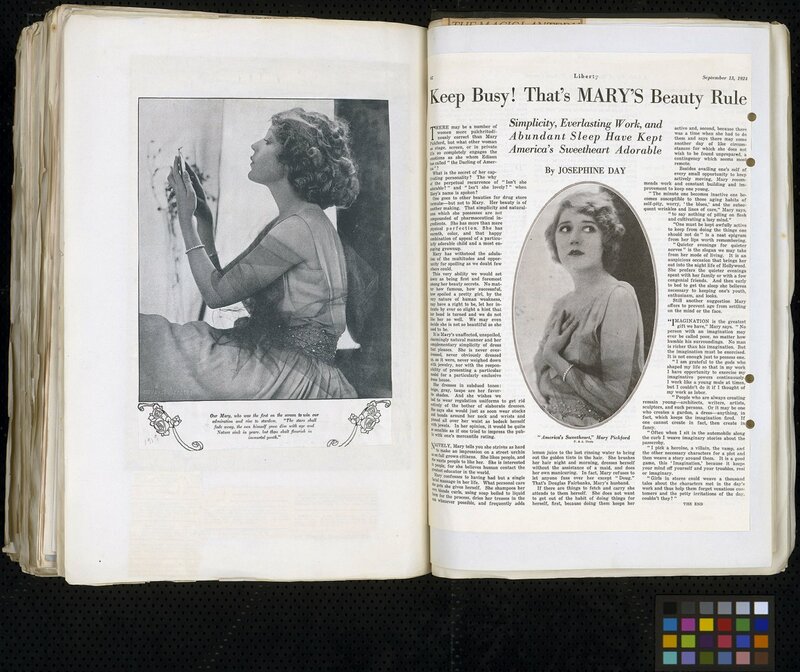 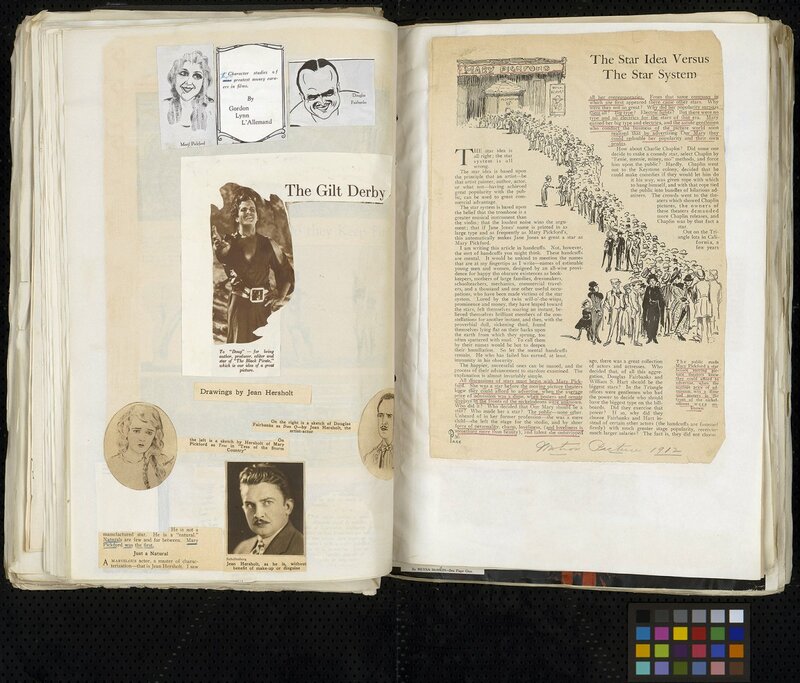 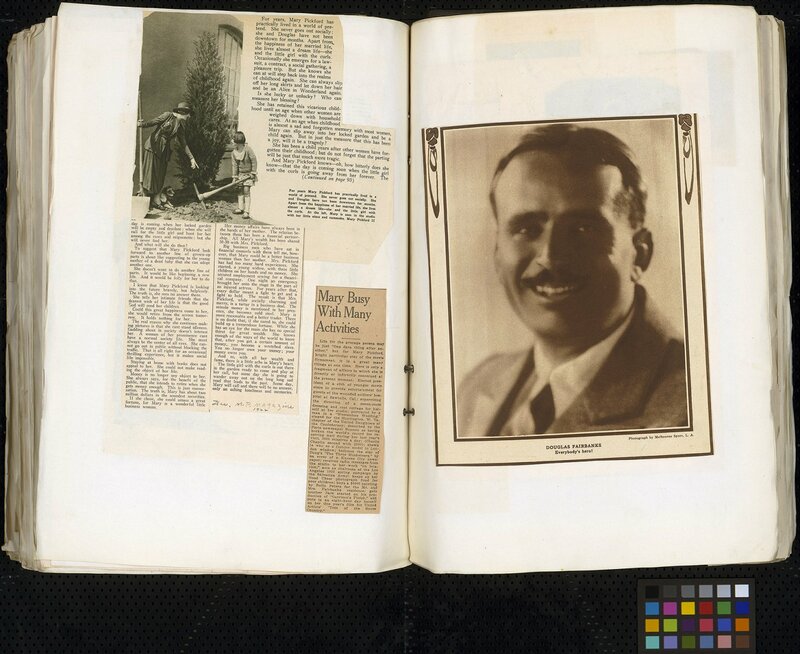 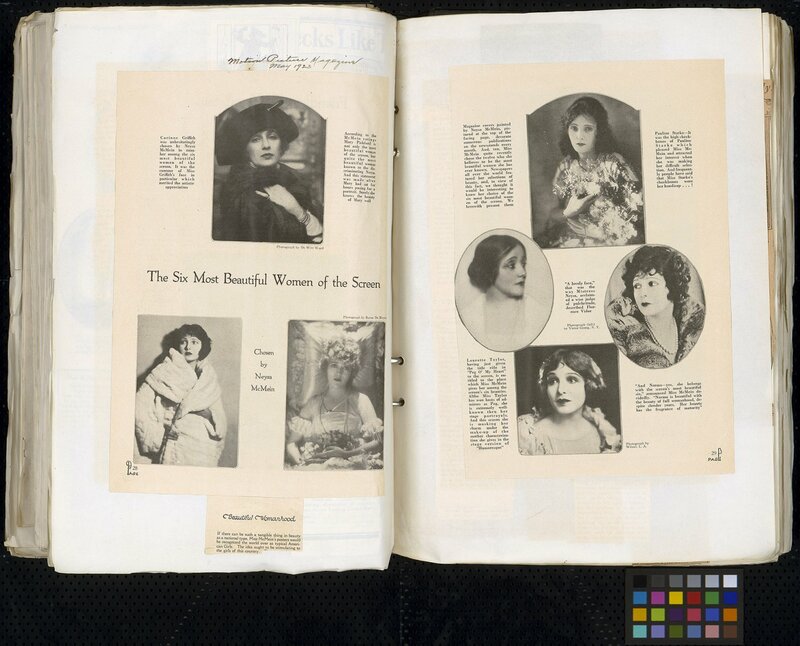 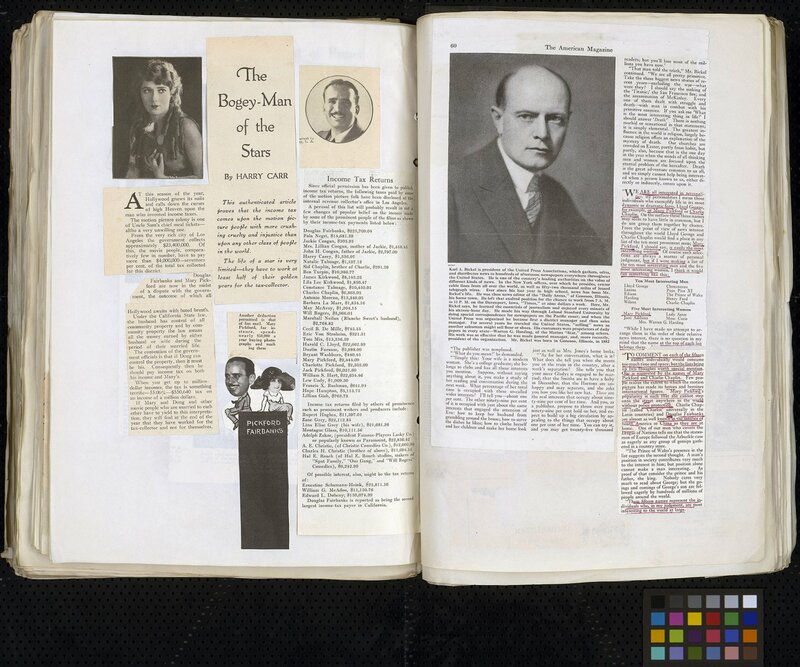 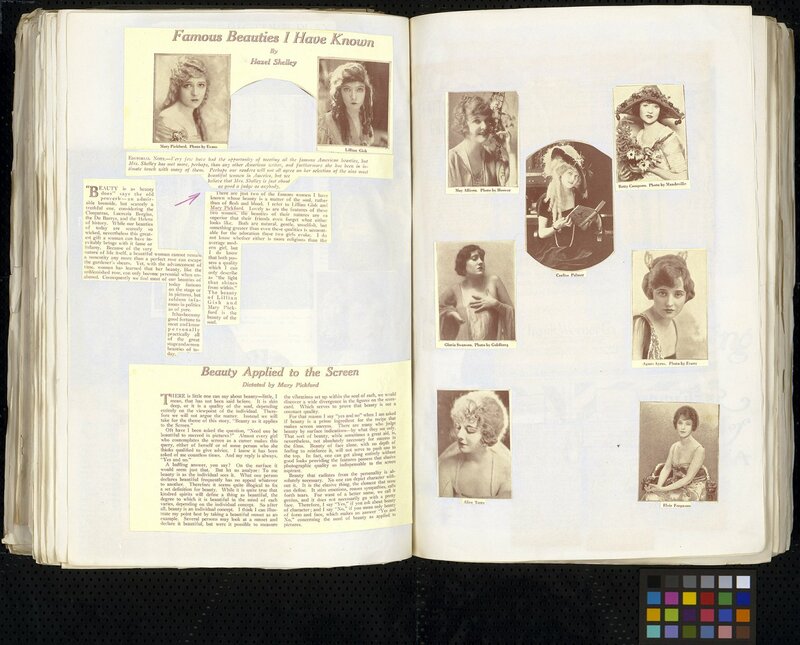 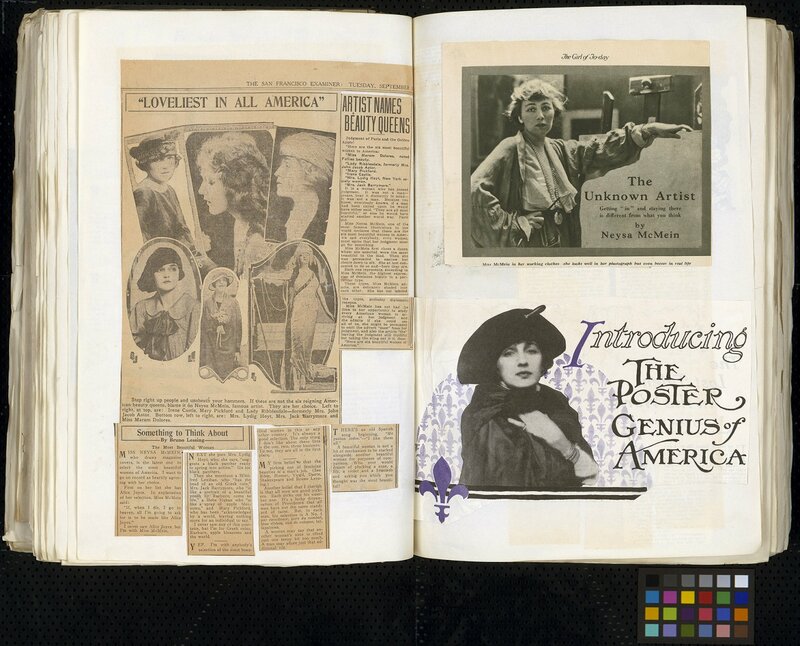 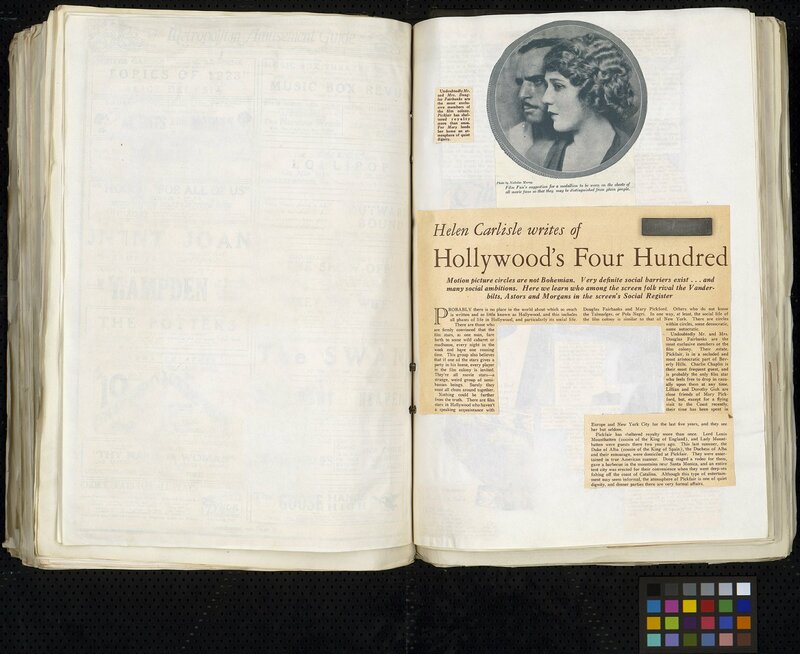 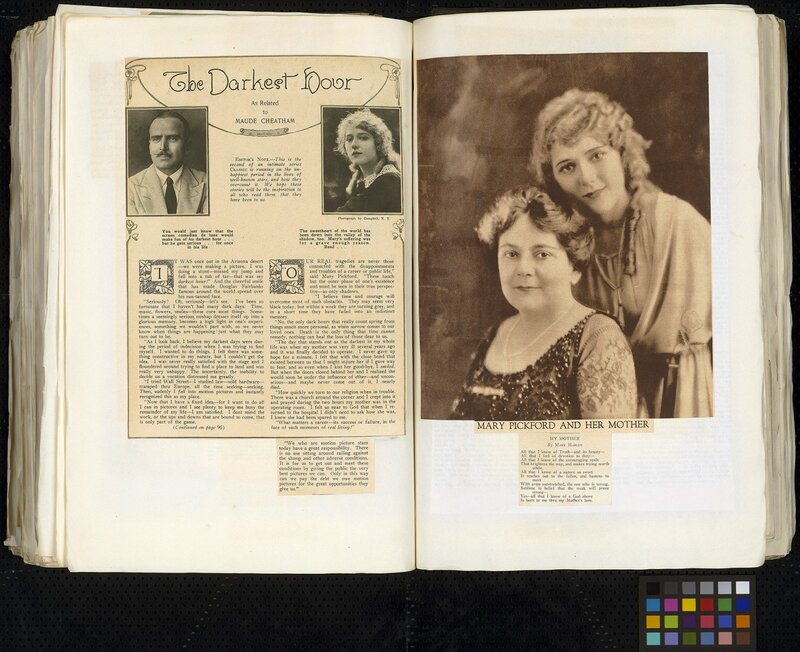 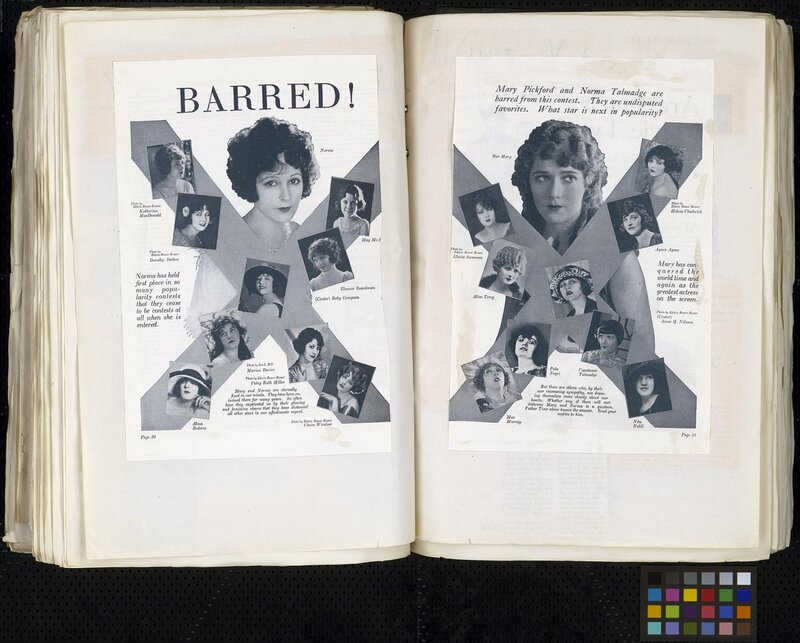 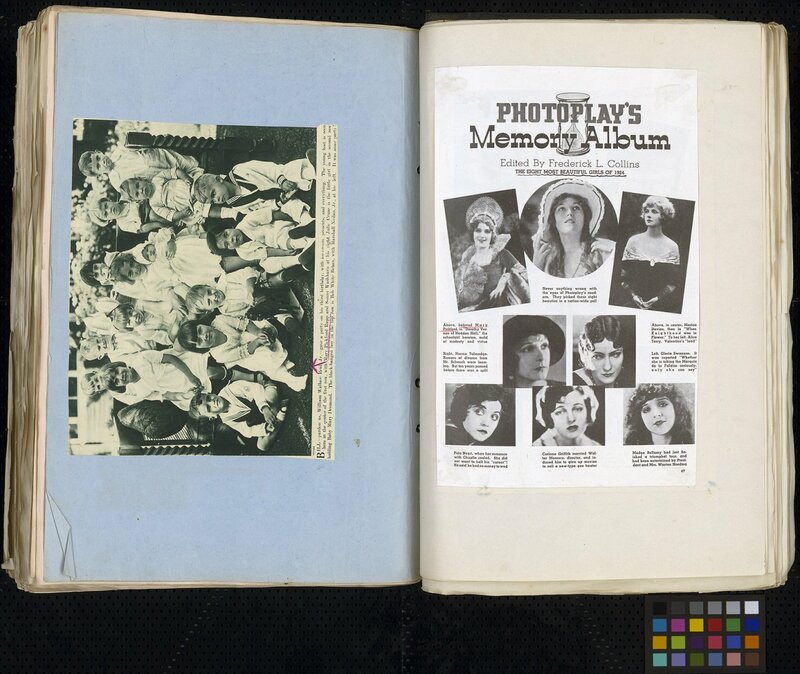 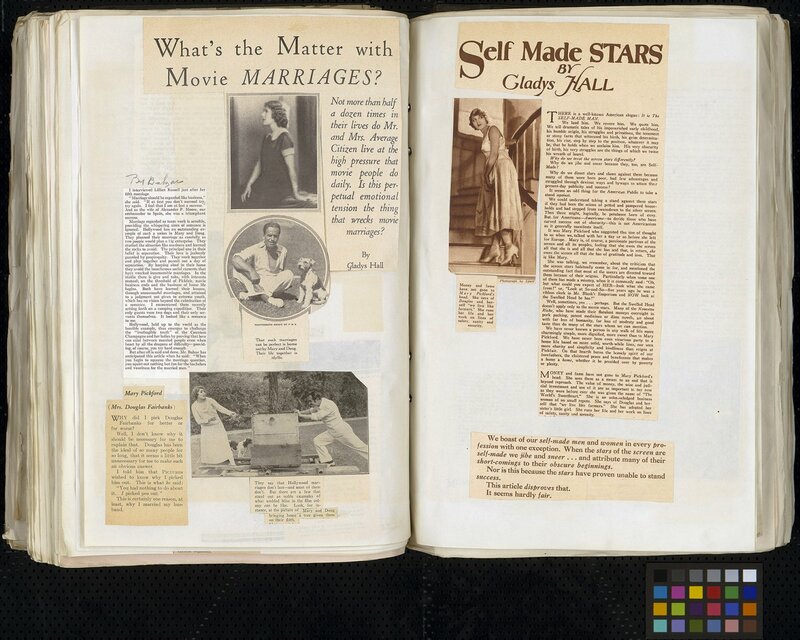 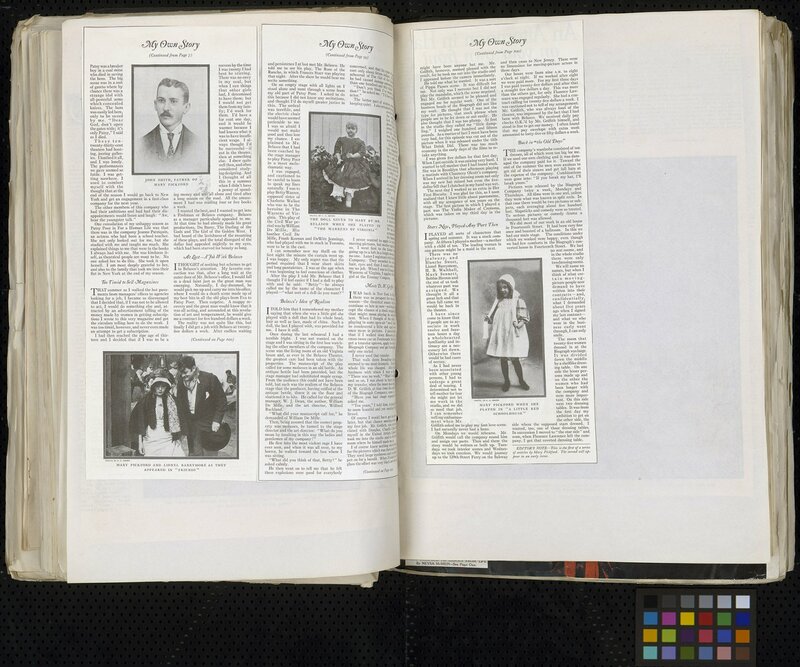 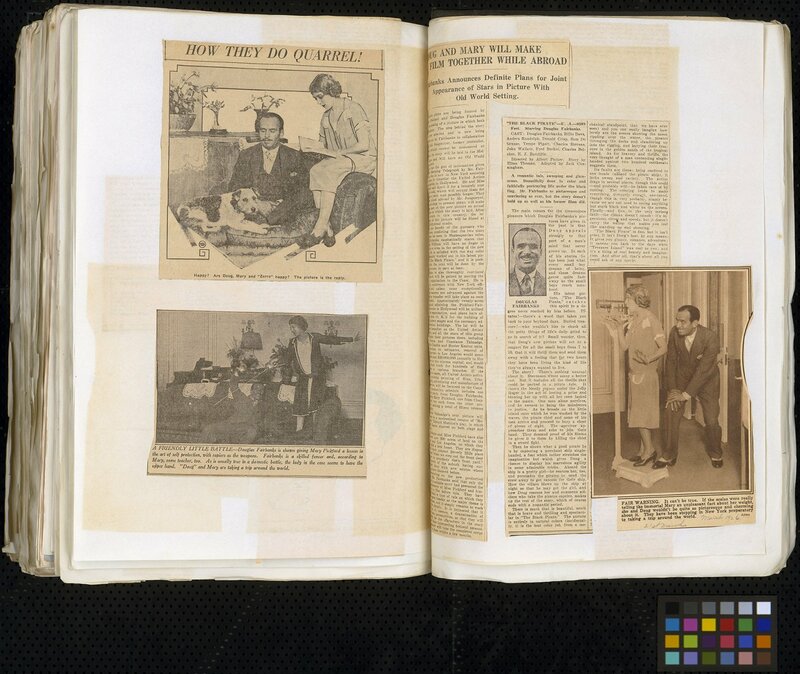 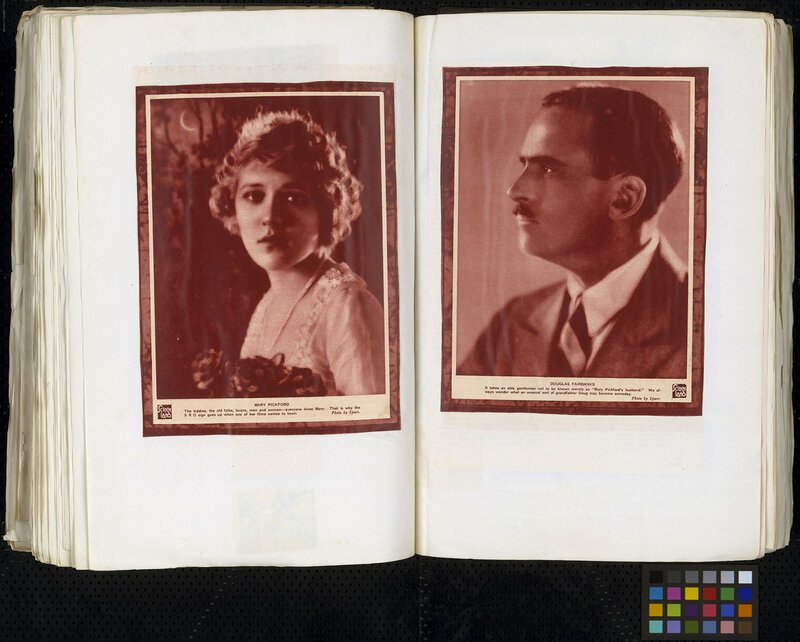 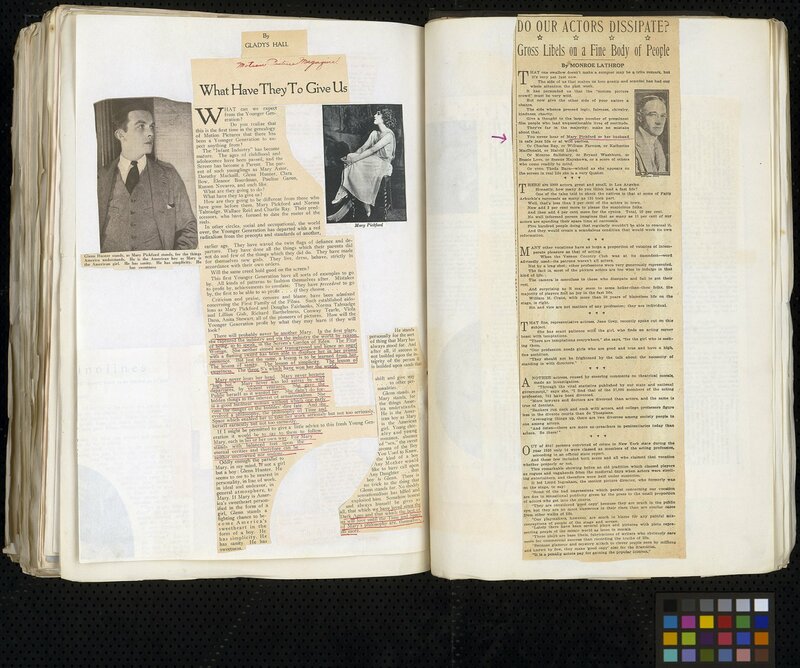 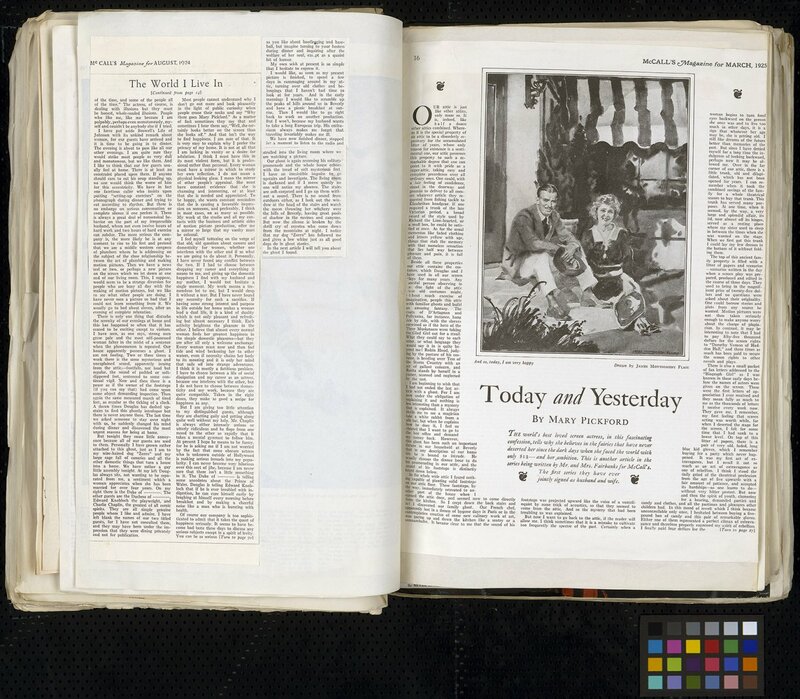 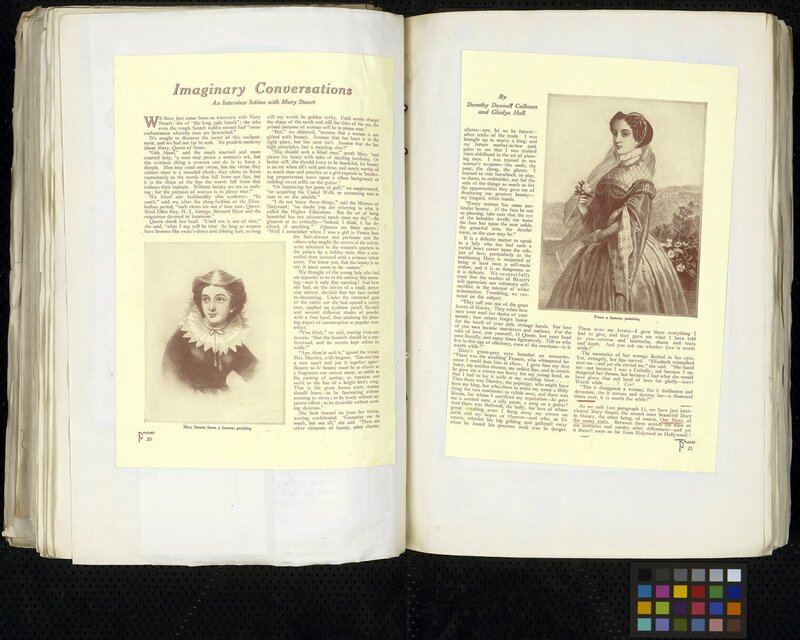 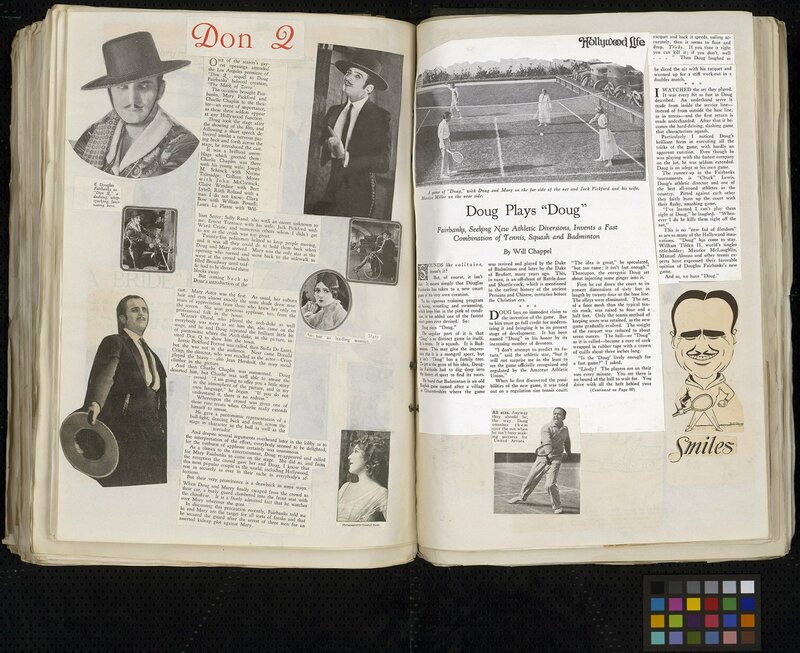 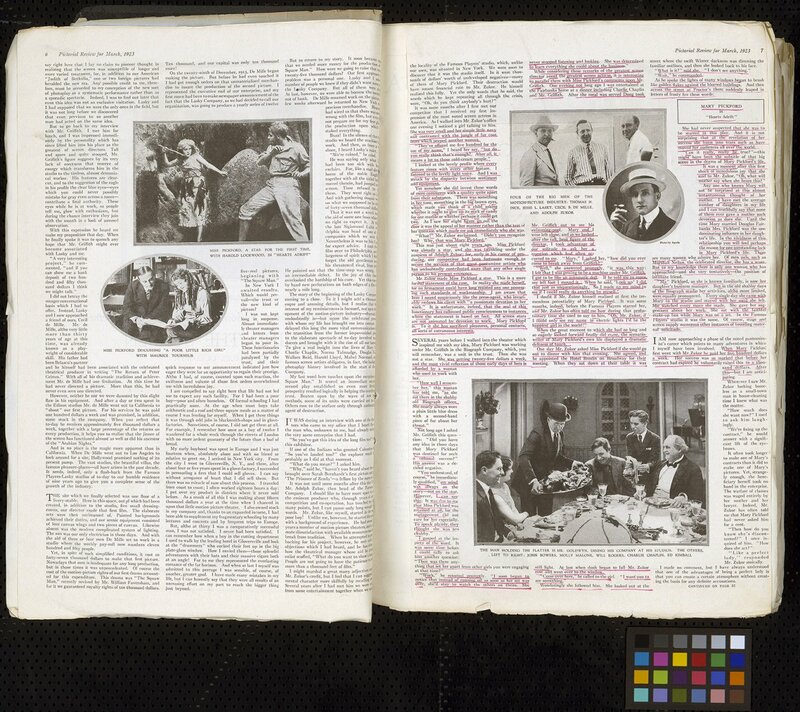 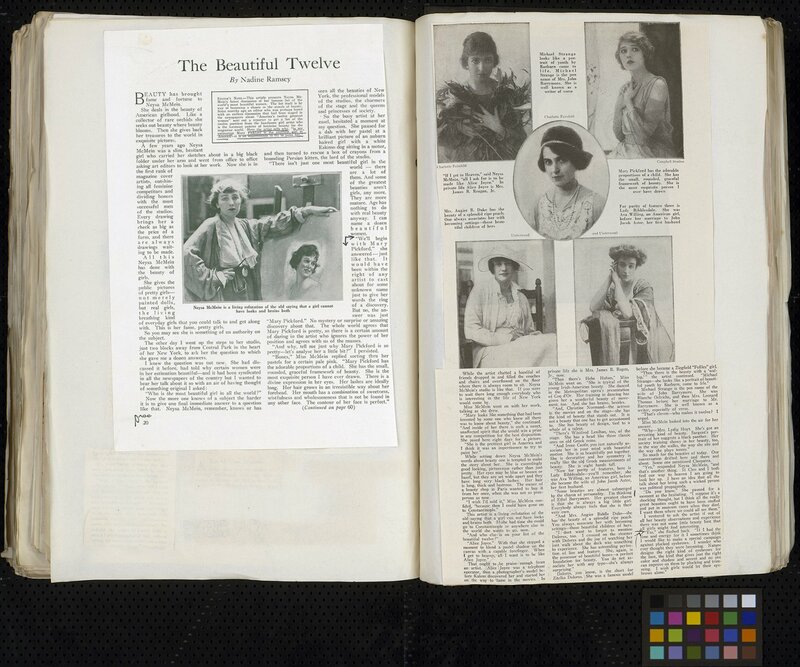 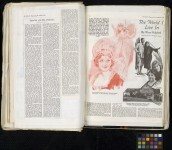 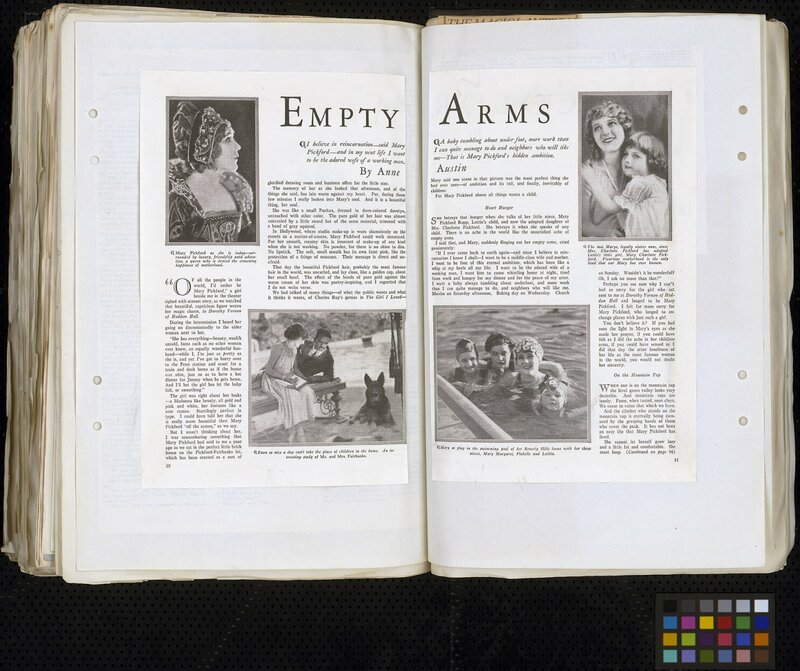 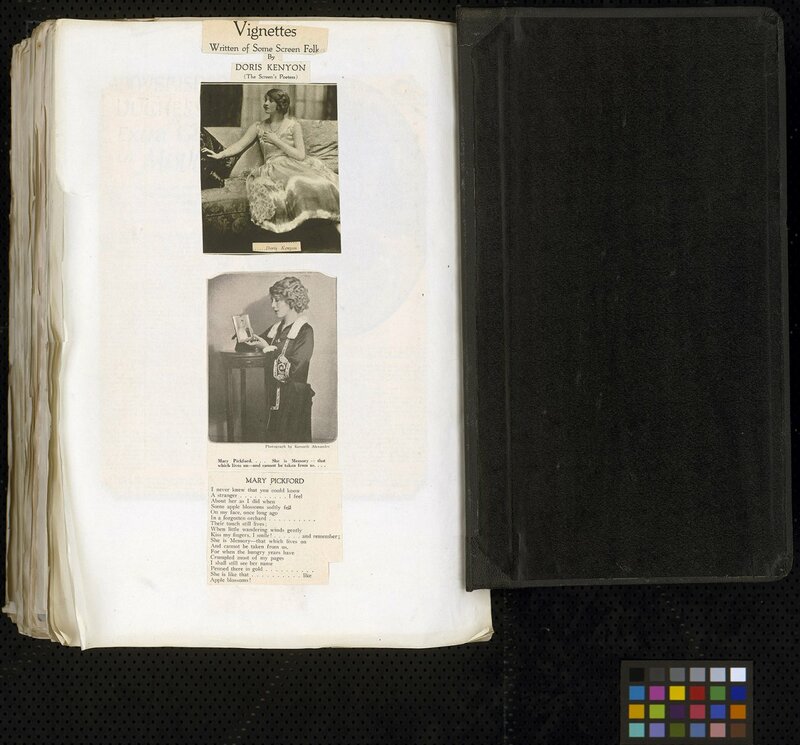 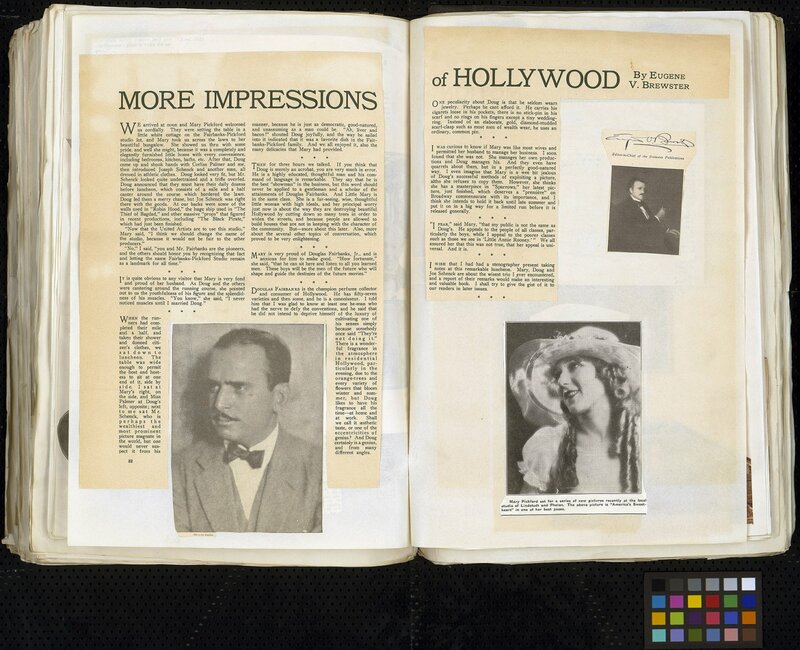 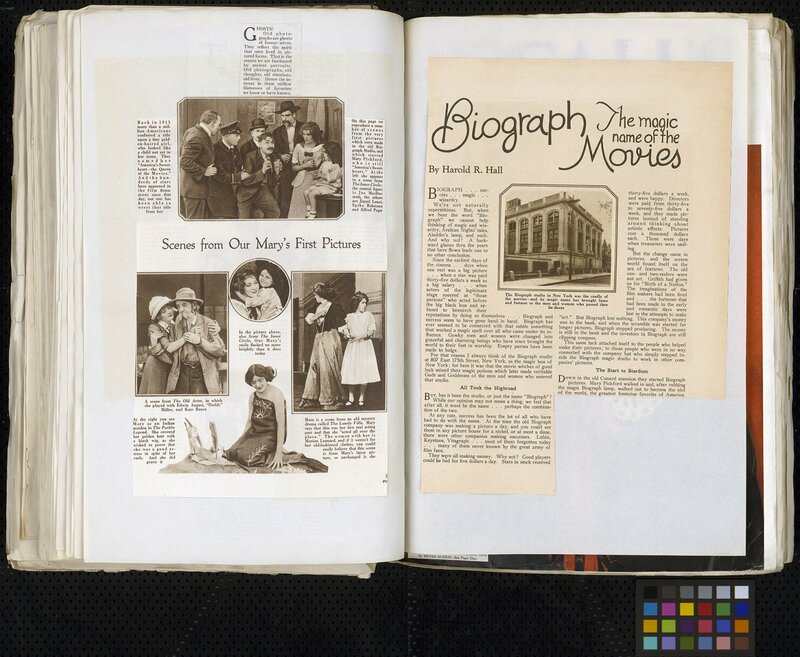 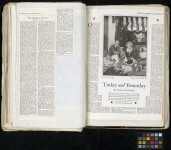 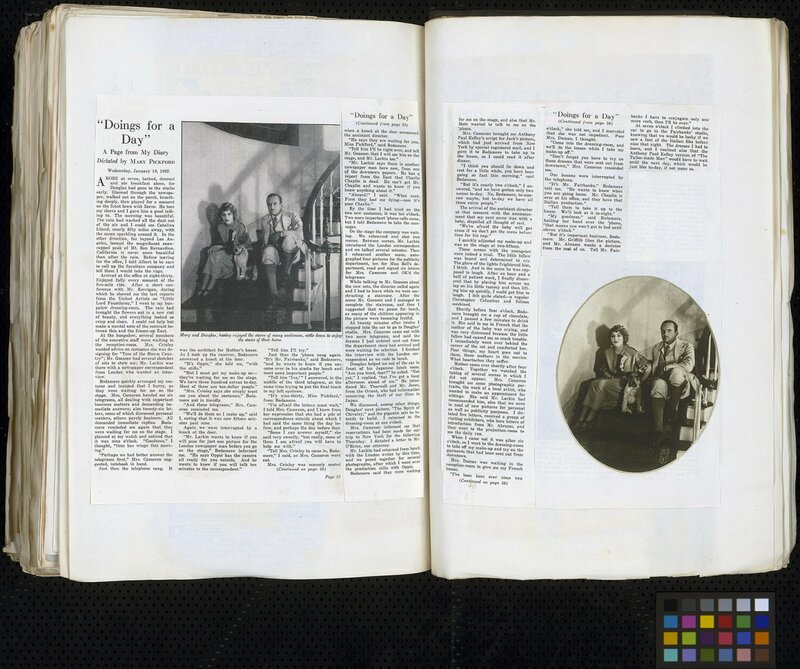 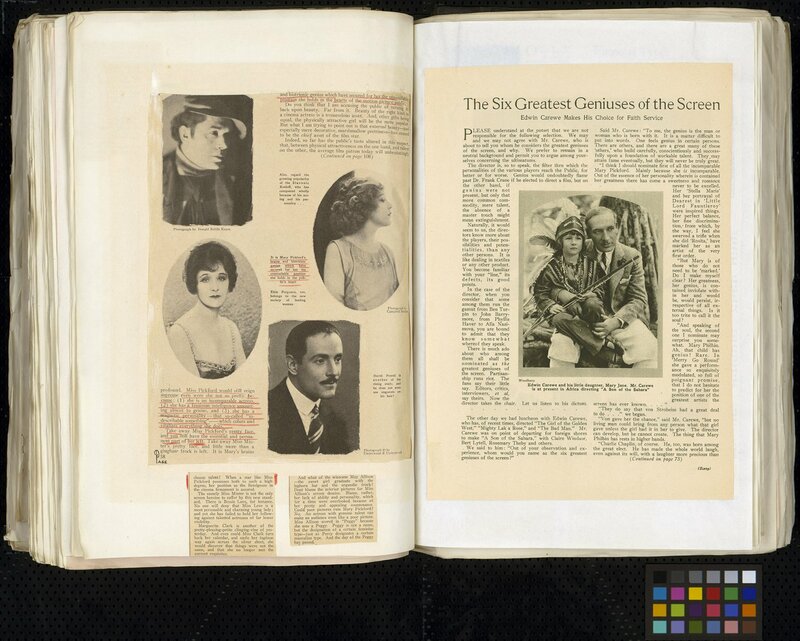 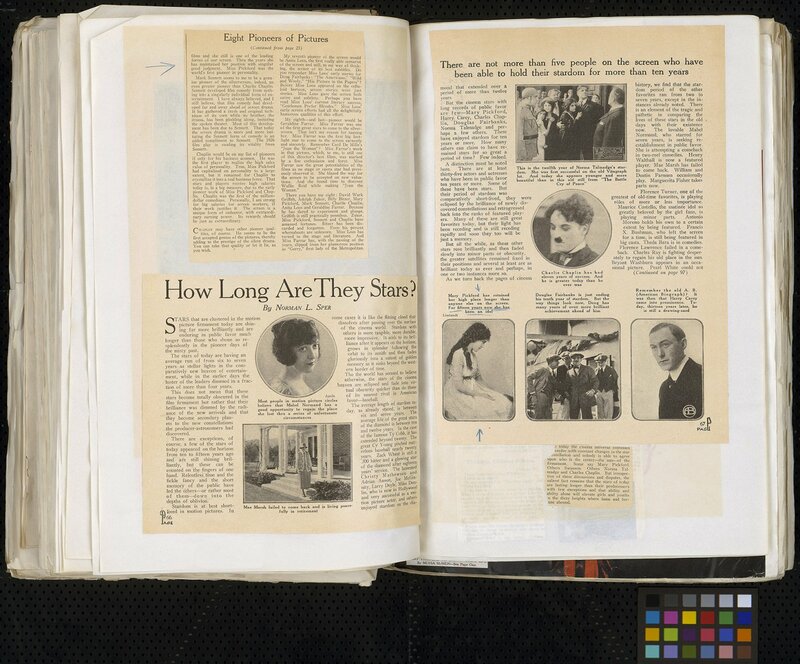 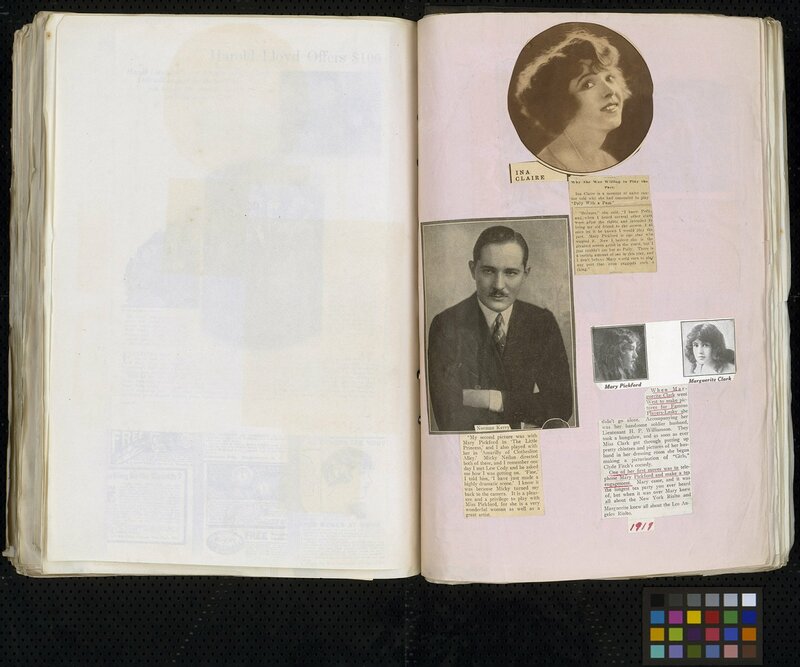 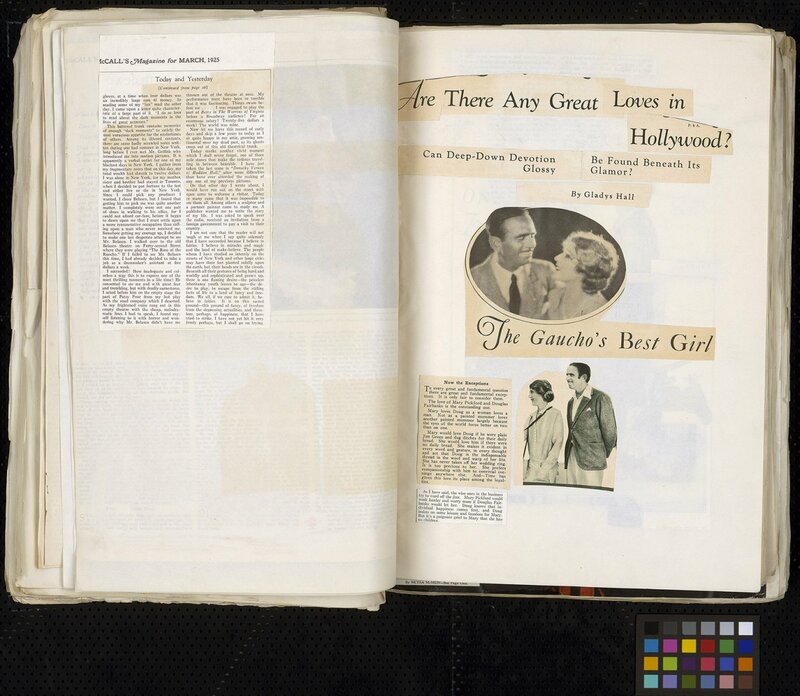 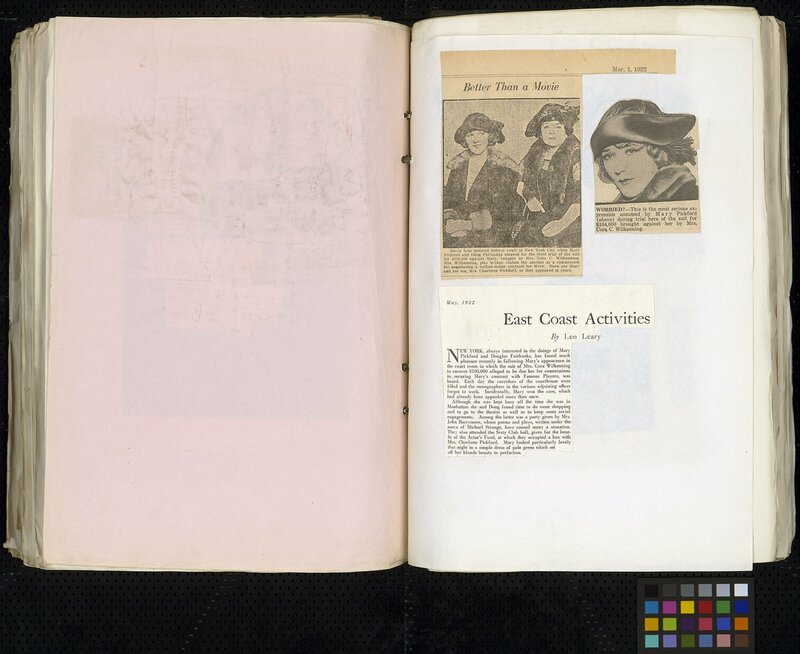 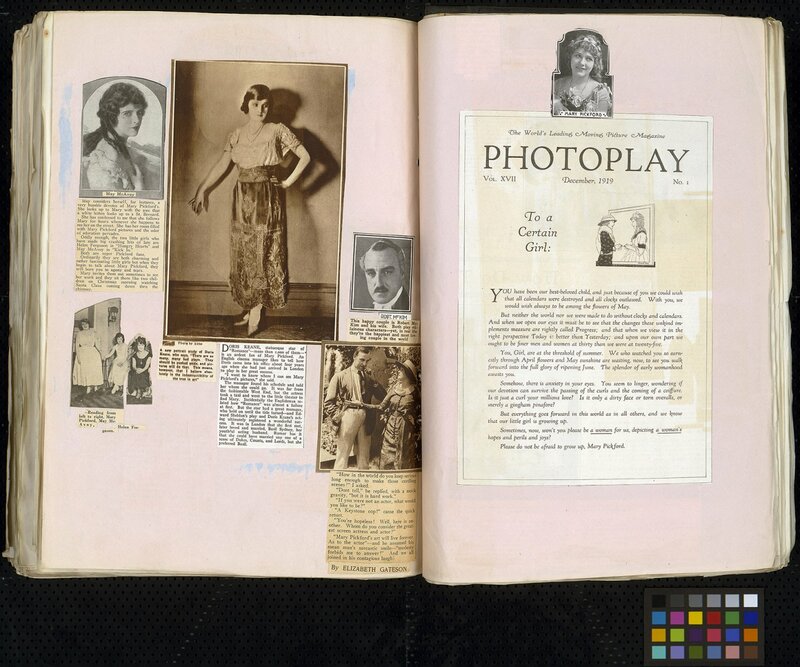 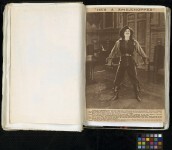 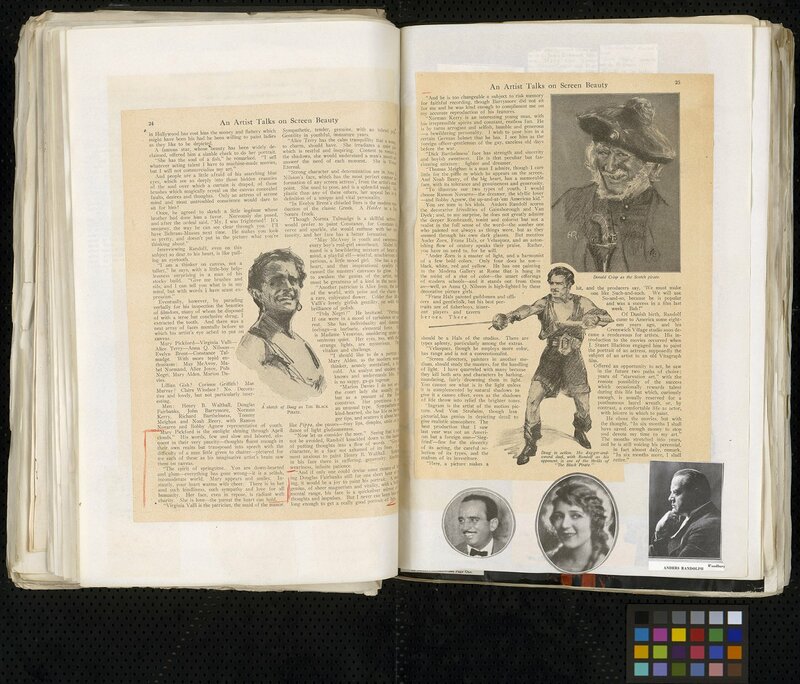 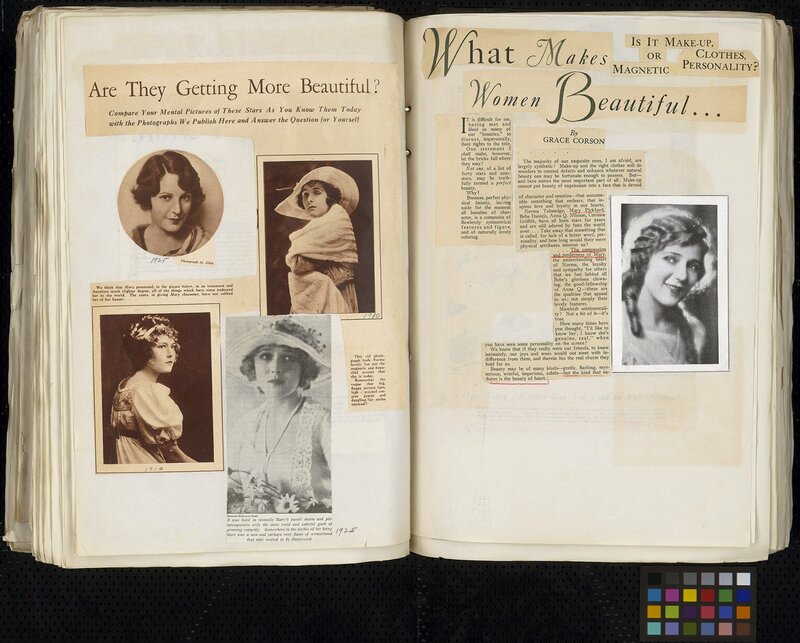 Covering her early years in addition to her then current life with Doug Fairbanks, this scrapbook gives us a unique look at the way the magazines of the day – such as Ladies Home Journal, Colliers and McCall’s – covered “Our Mary” and Hollywood.